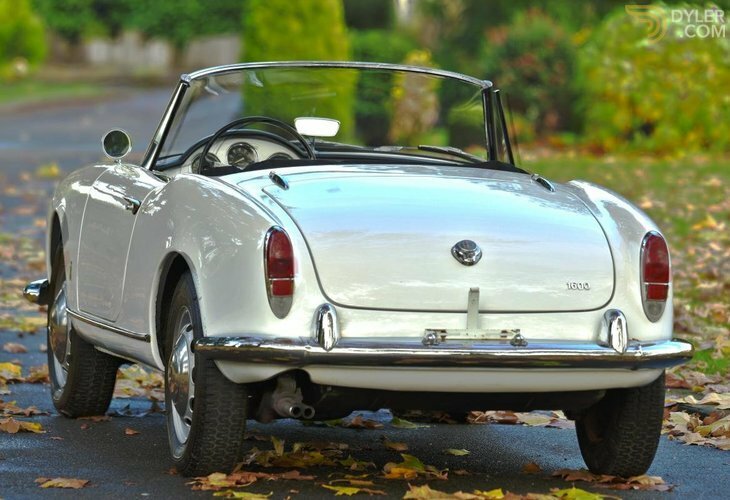 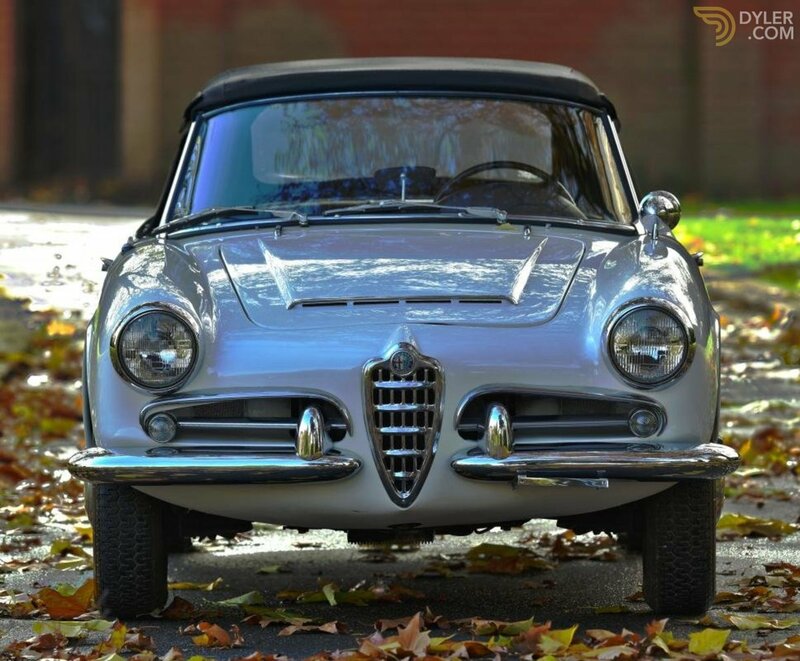 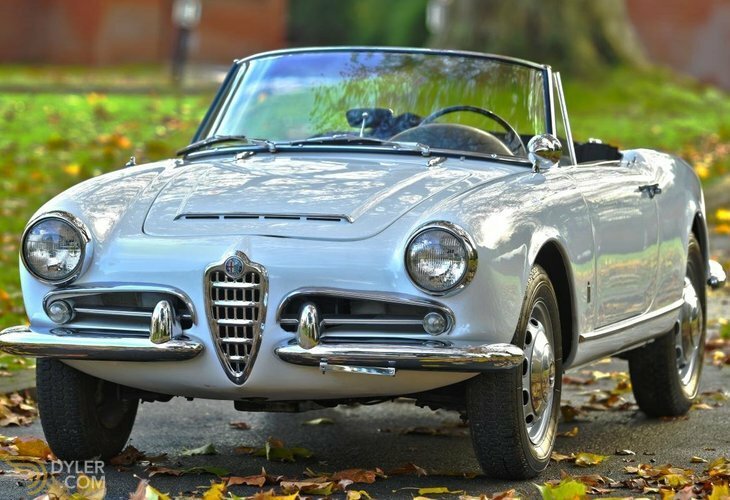 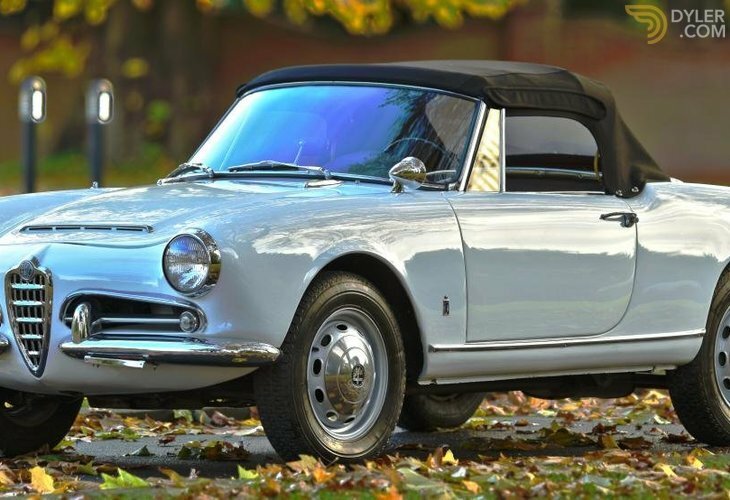 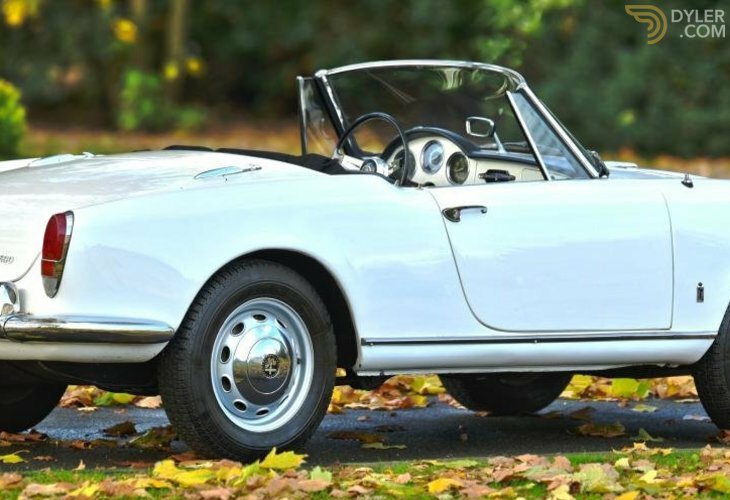 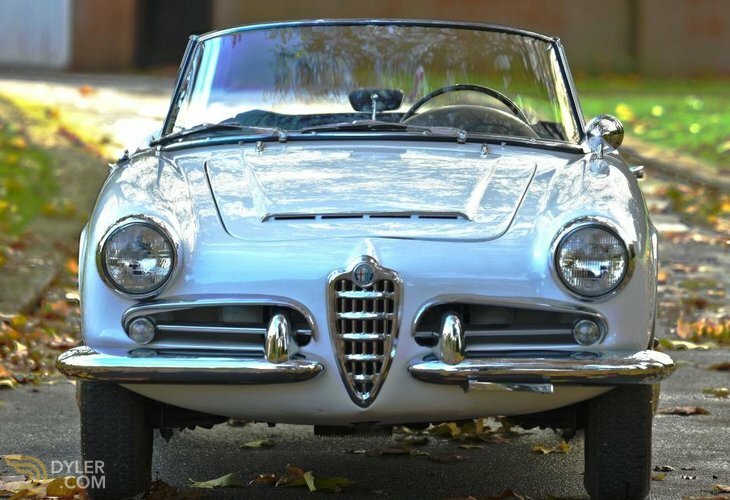 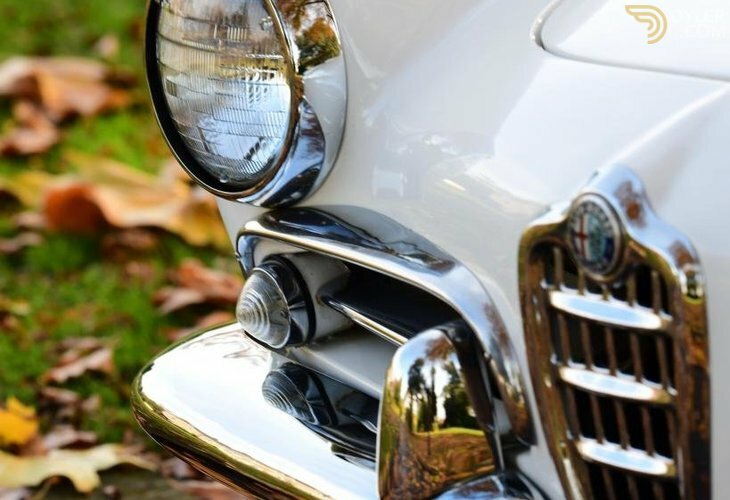 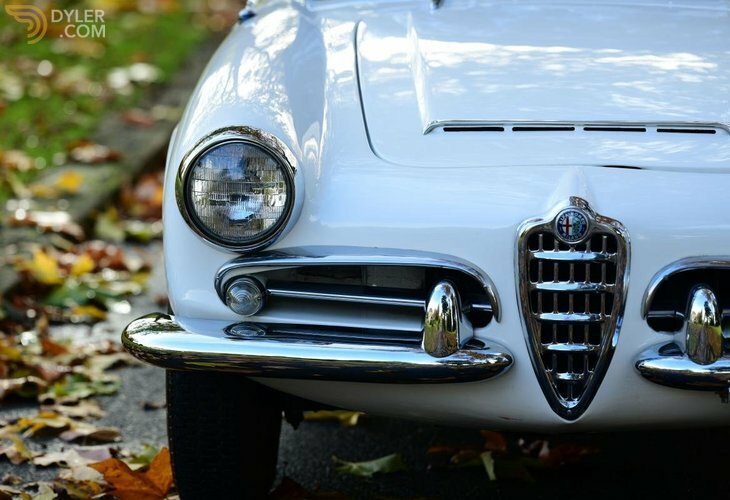 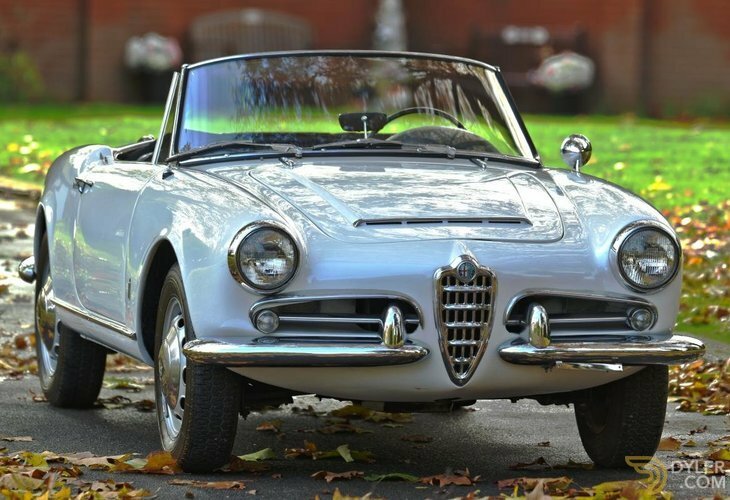 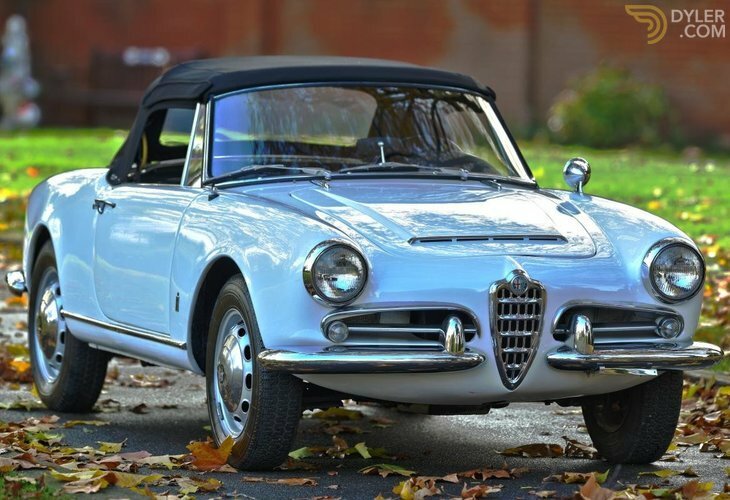 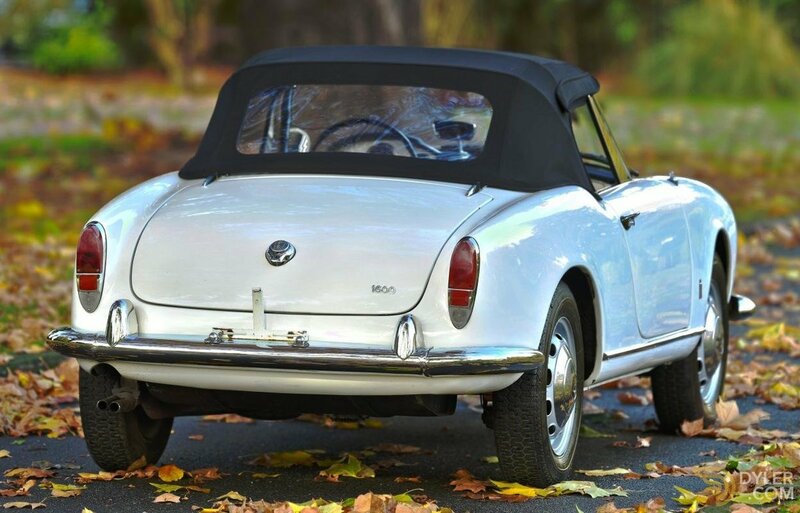 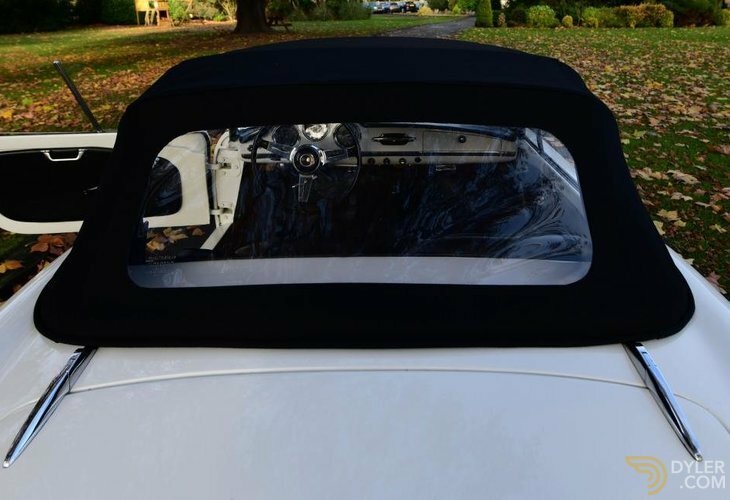 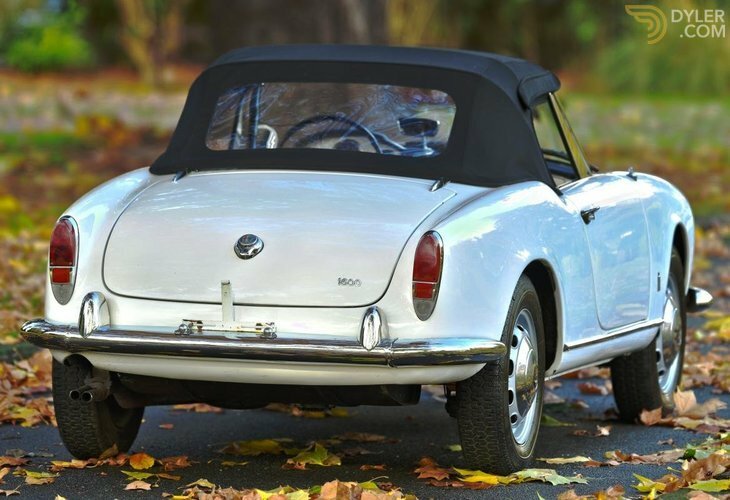 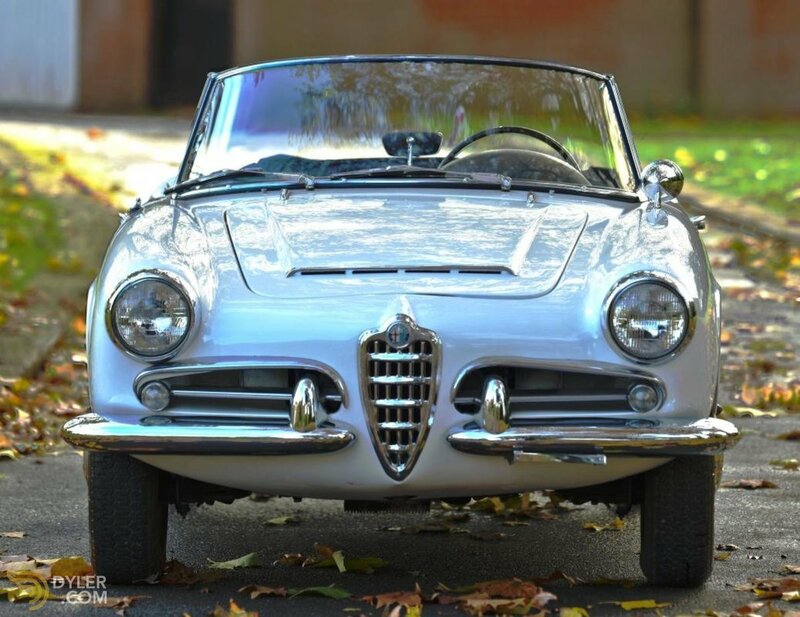 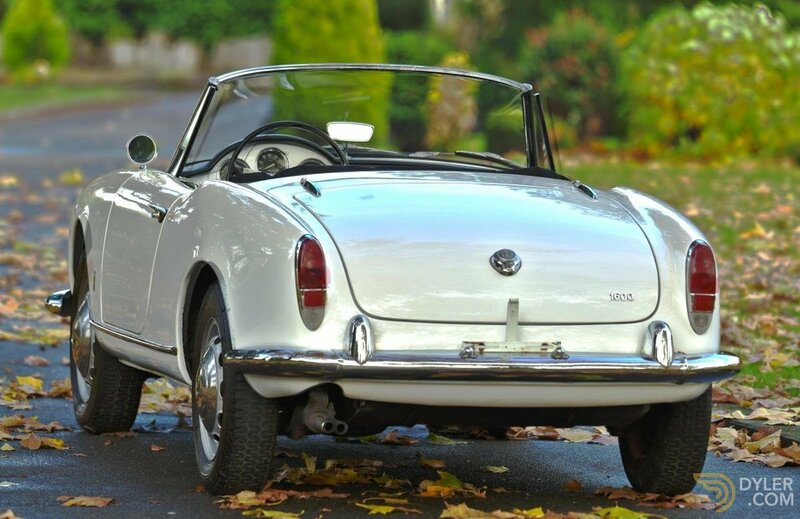 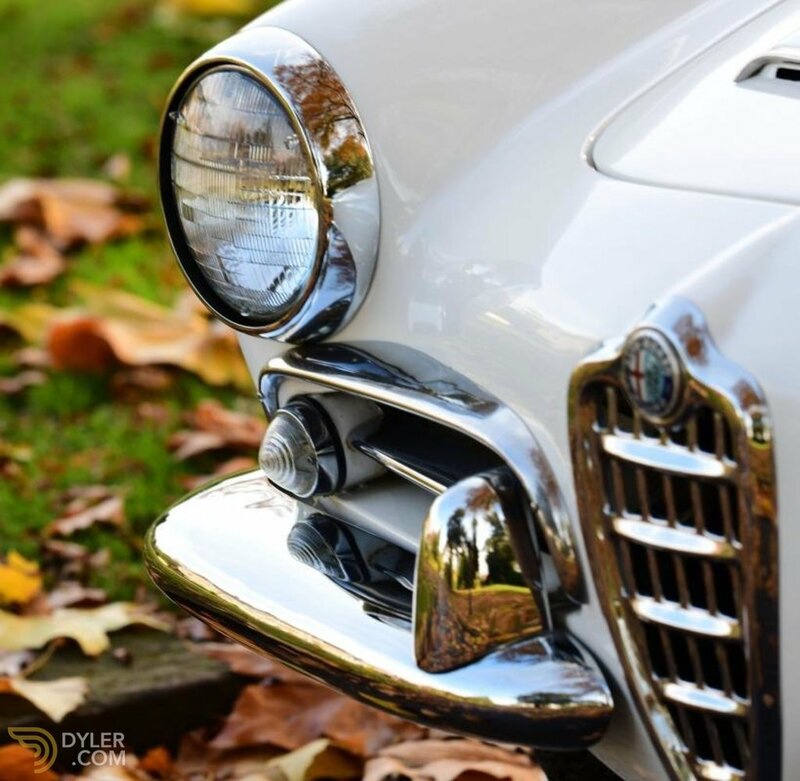 The Alfa Romeo Giulia Spider Convertible, one of the most recognisable Alfa Romeo classics available today, was the Italian automakers replacement to the popular Alfa Romeo Giulietta series. 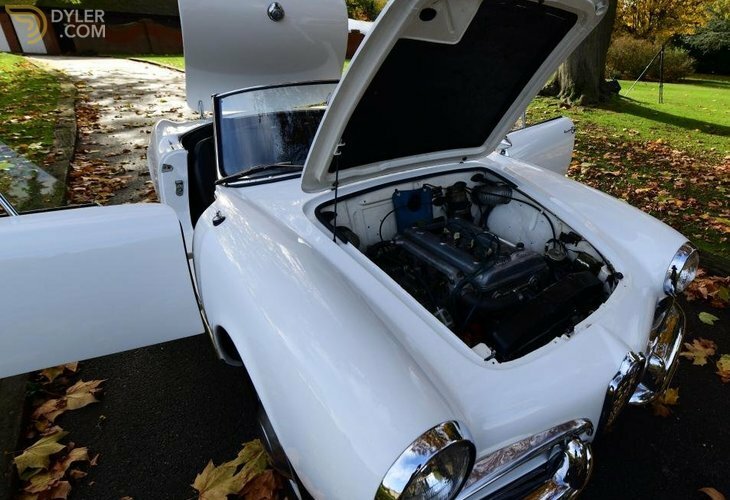 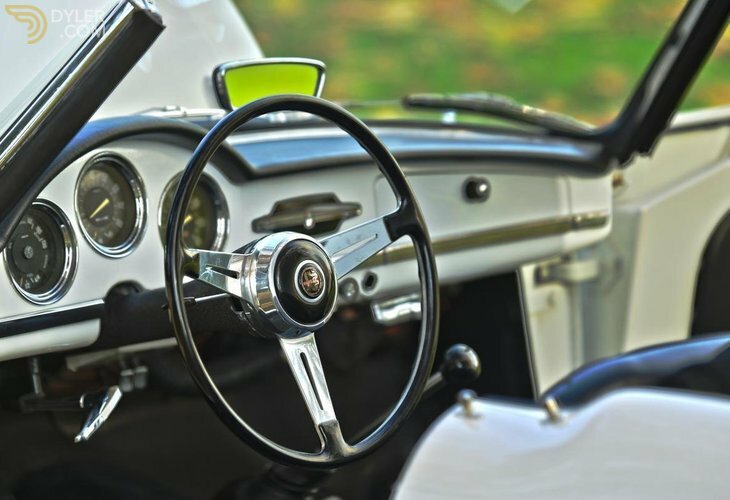 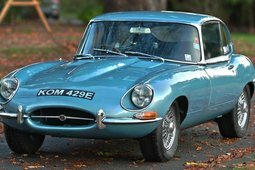 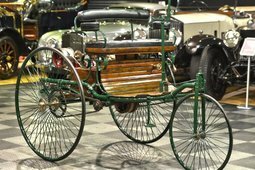 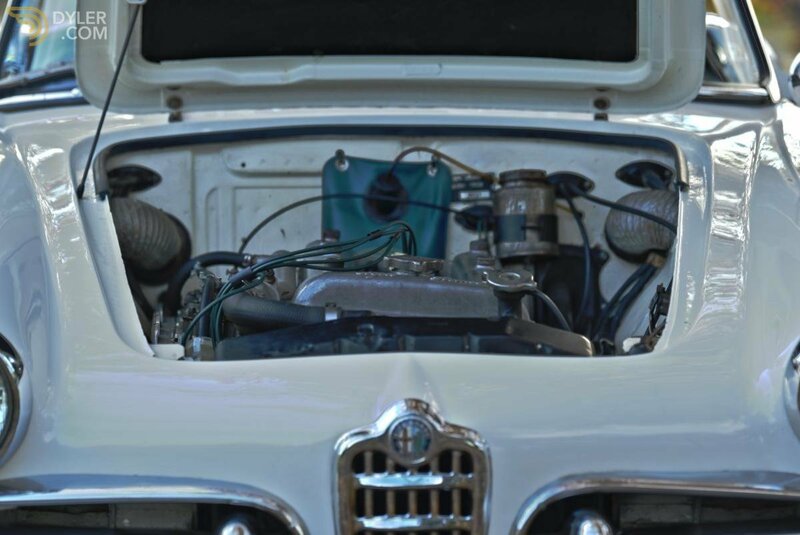 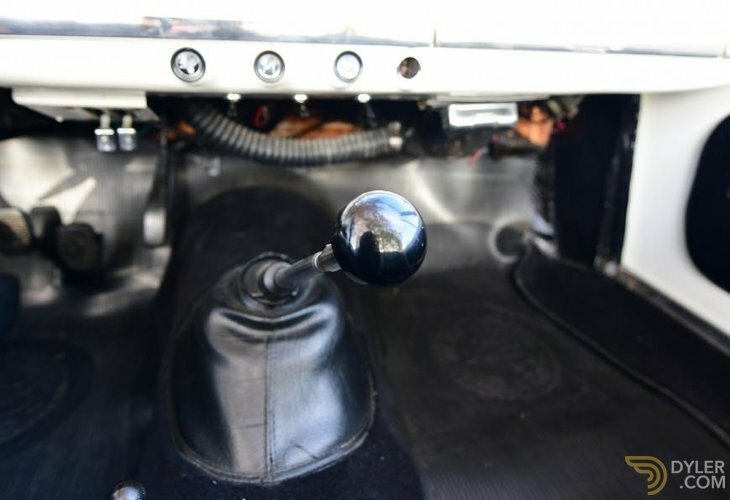 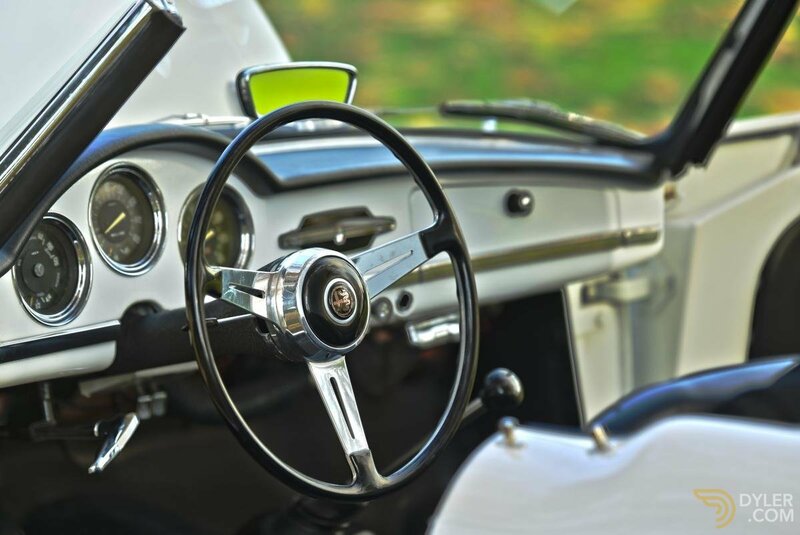 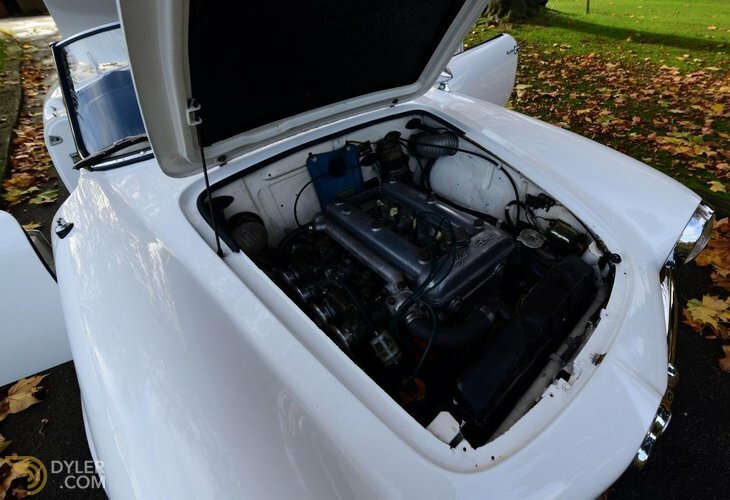 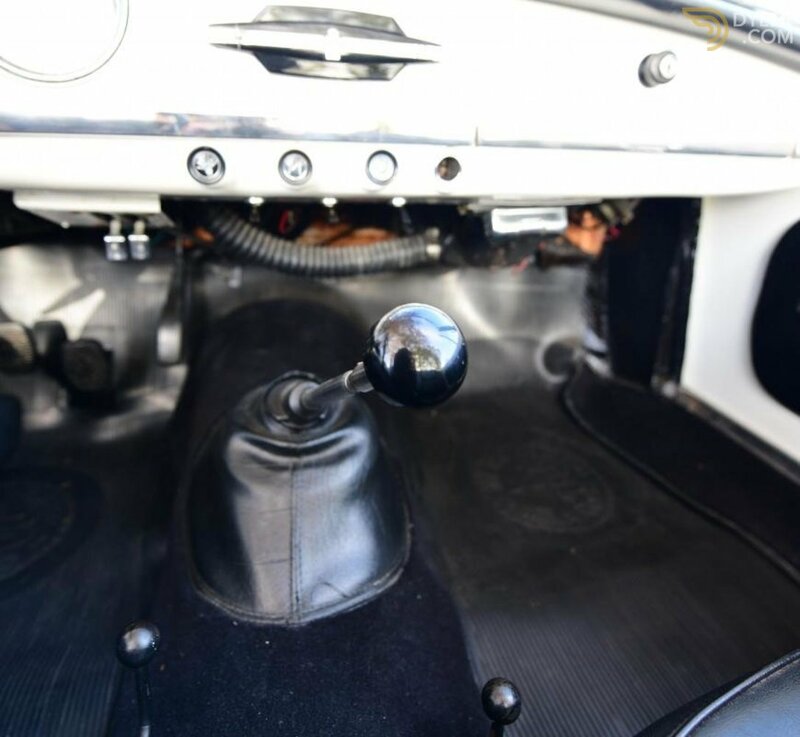 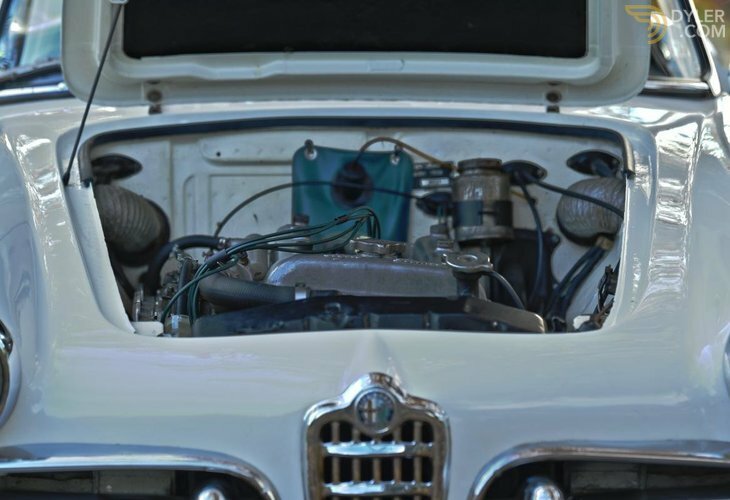 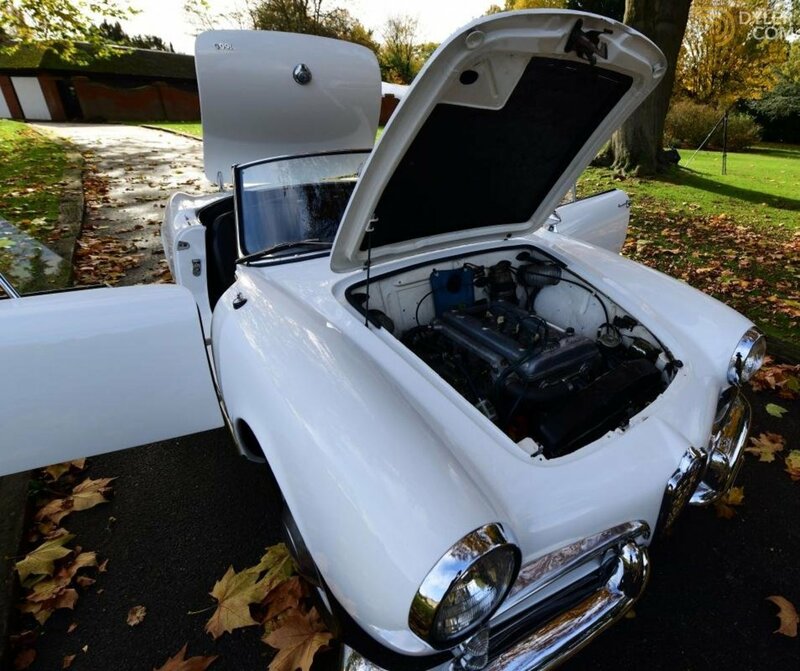 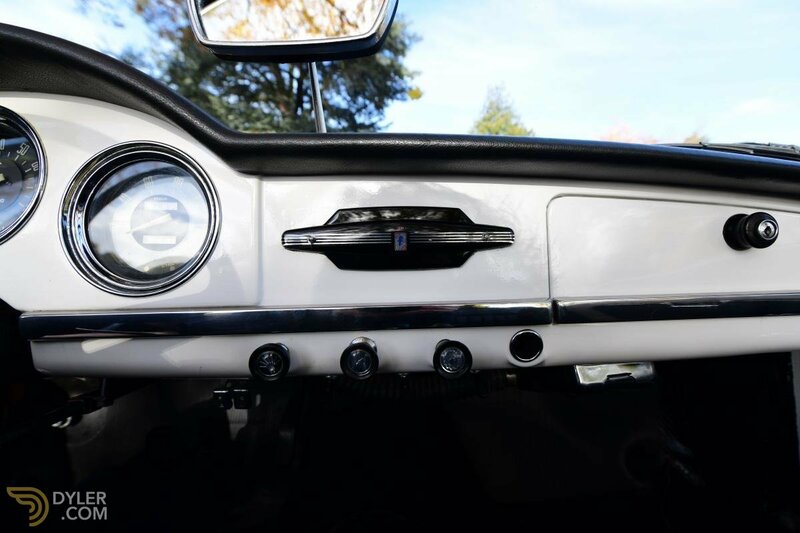 It would be presented to the public in 1962 with new underpinnings and a 1.6L engine paired with a five-speed gearbox. 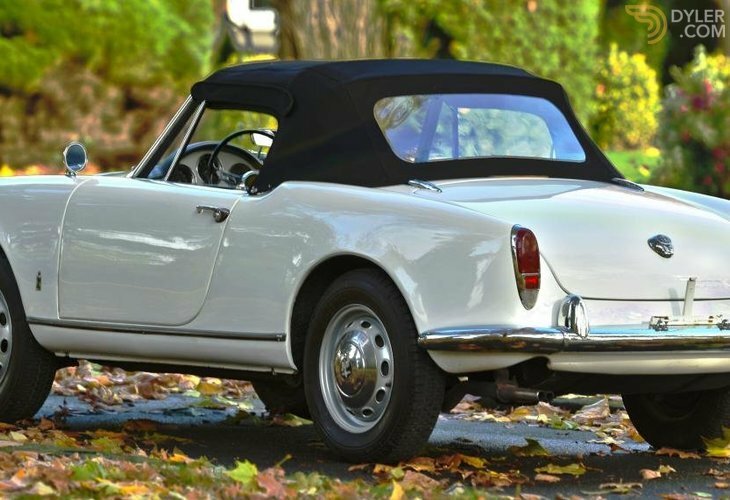 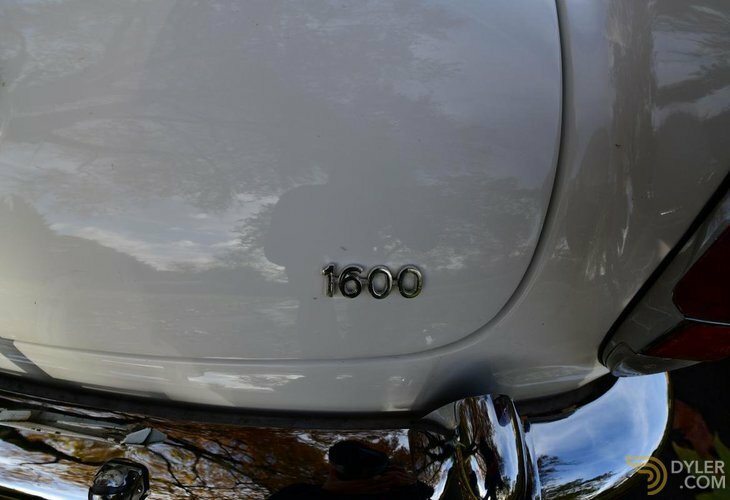 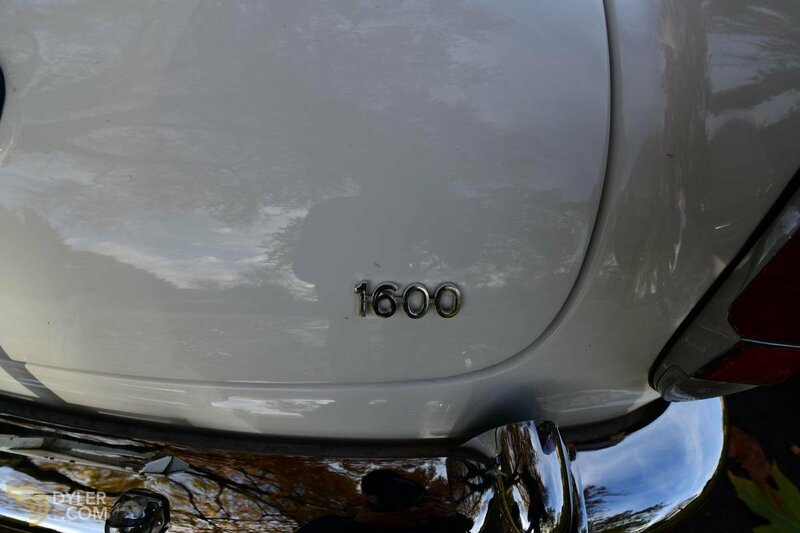 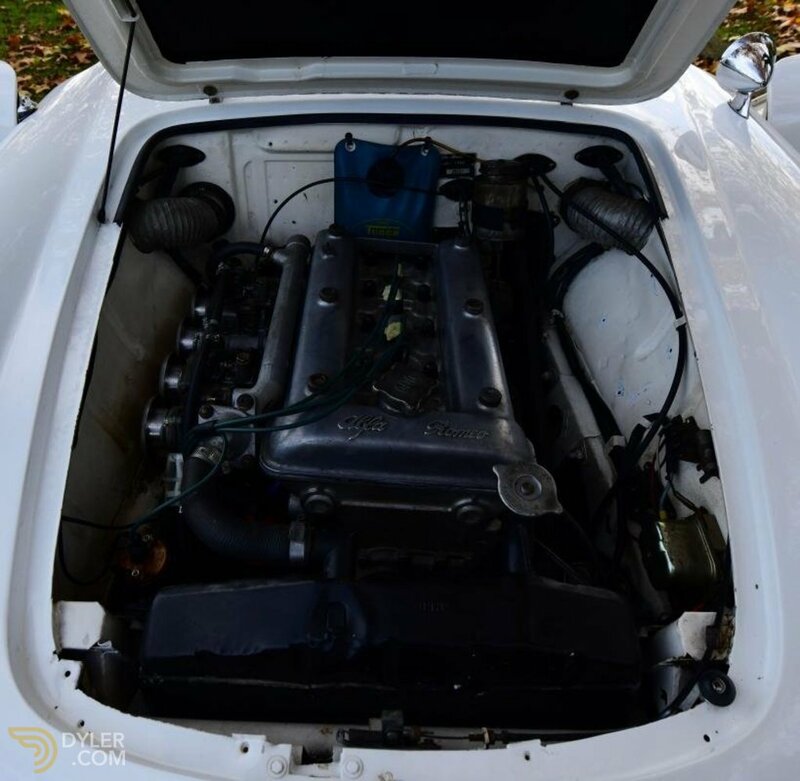 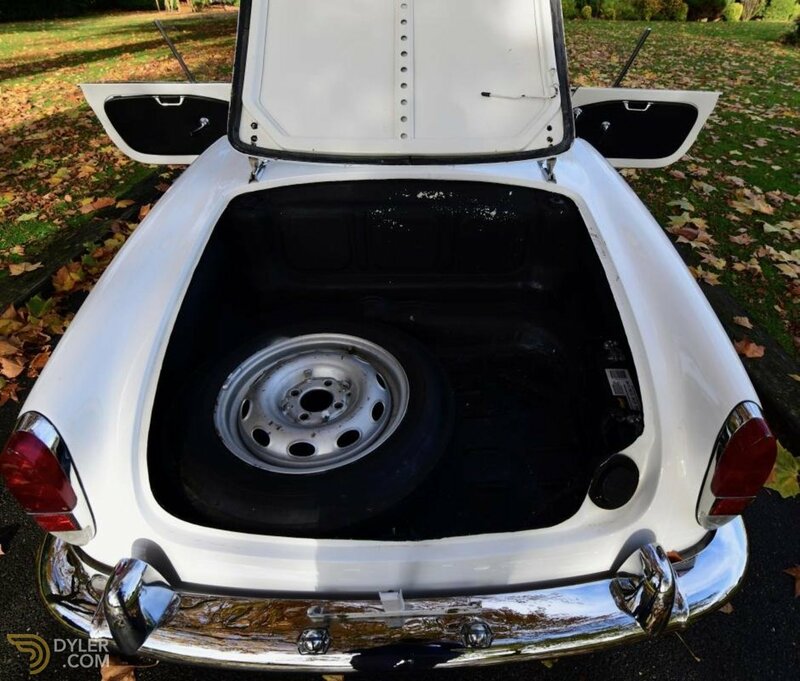 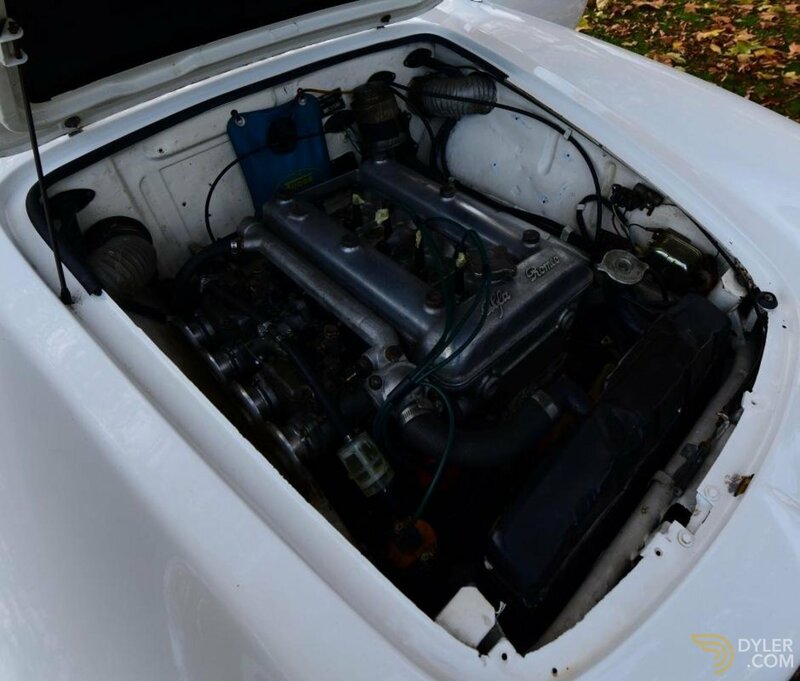 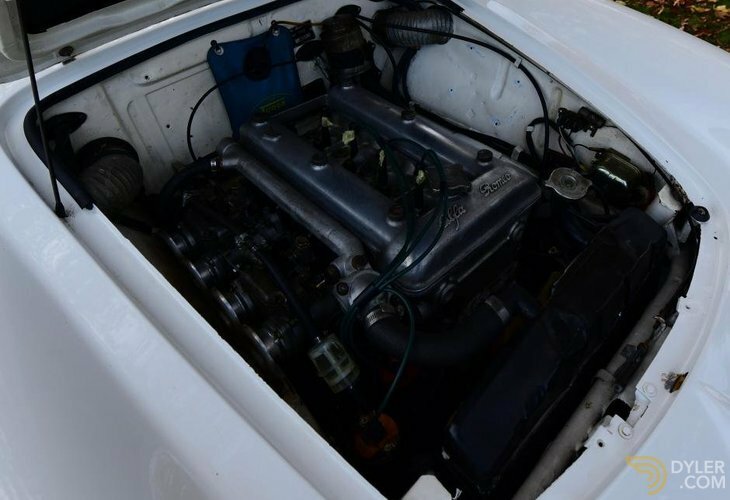 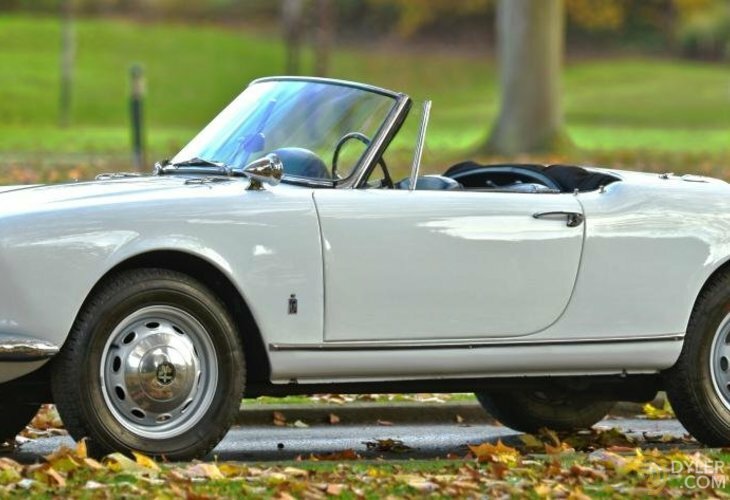 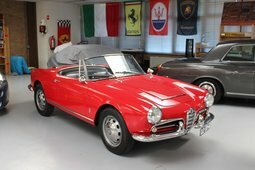 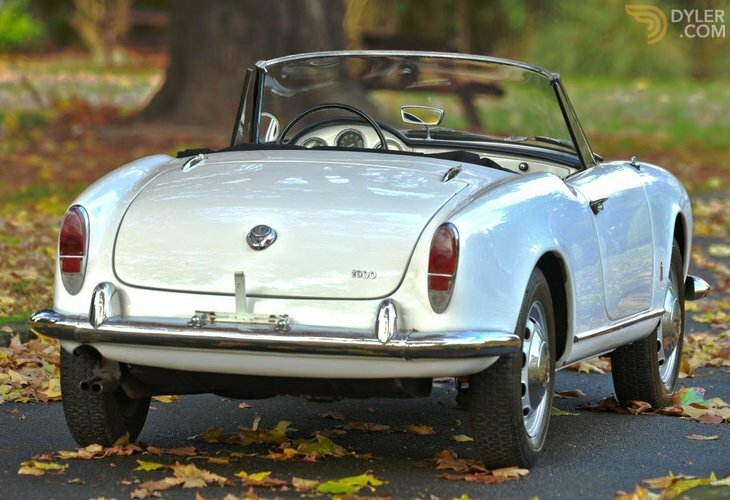 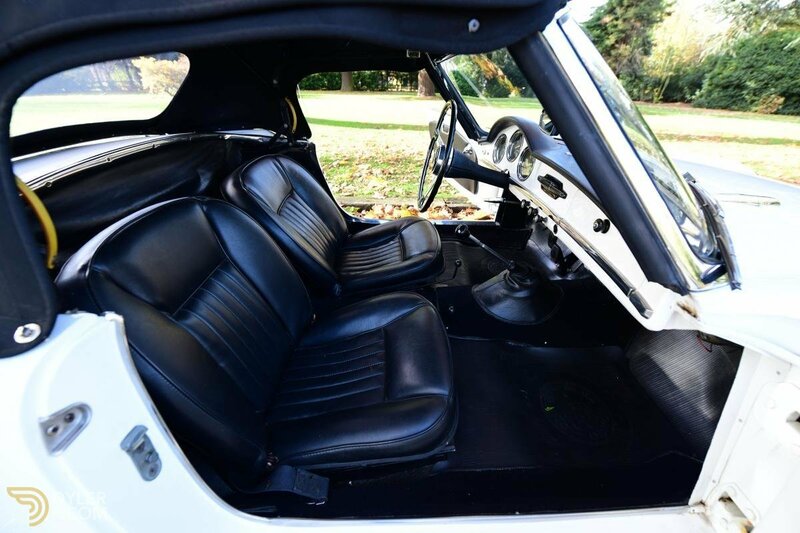 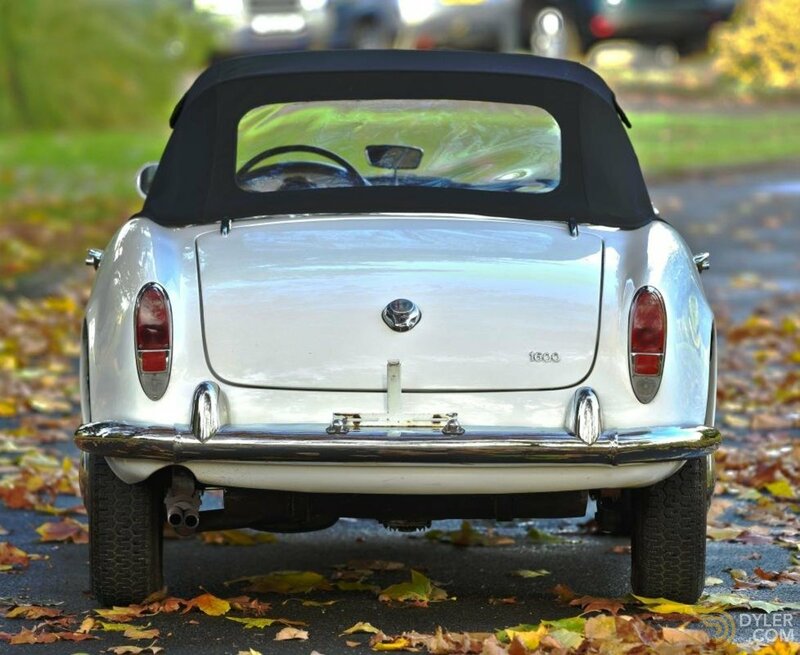 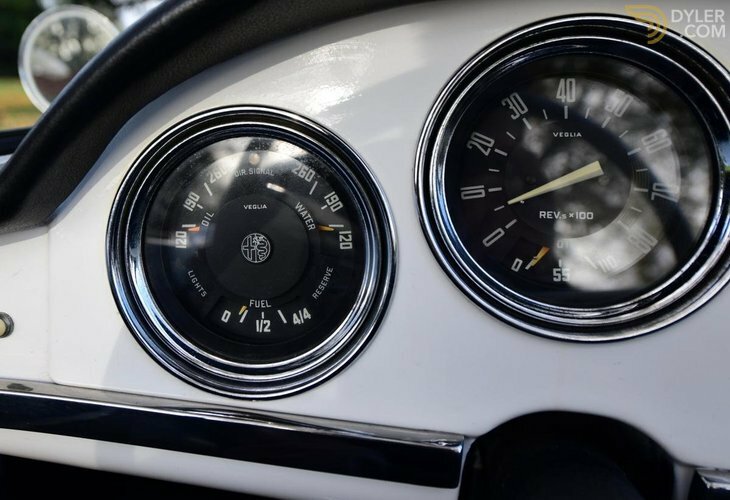 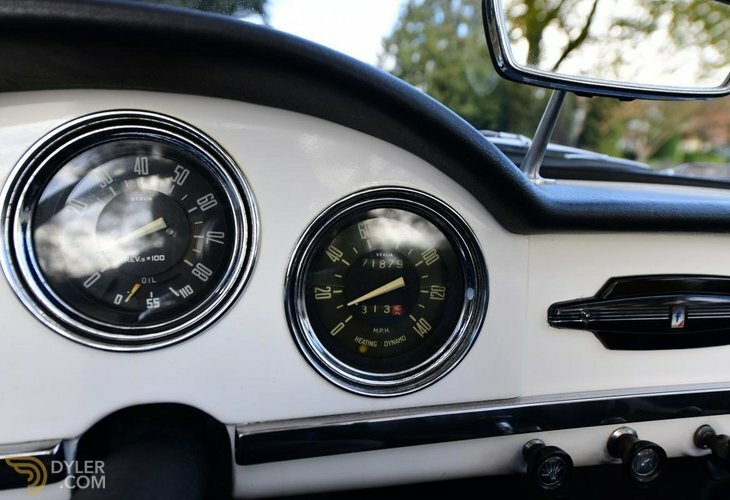 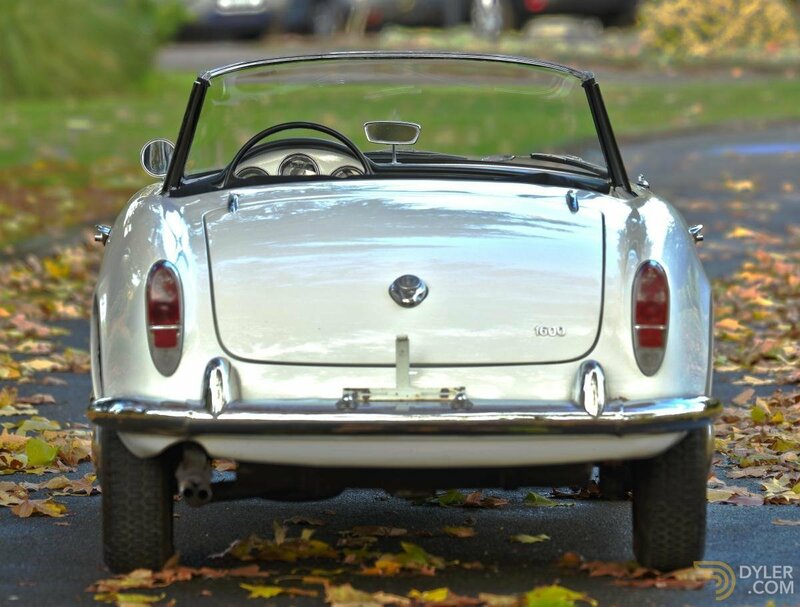 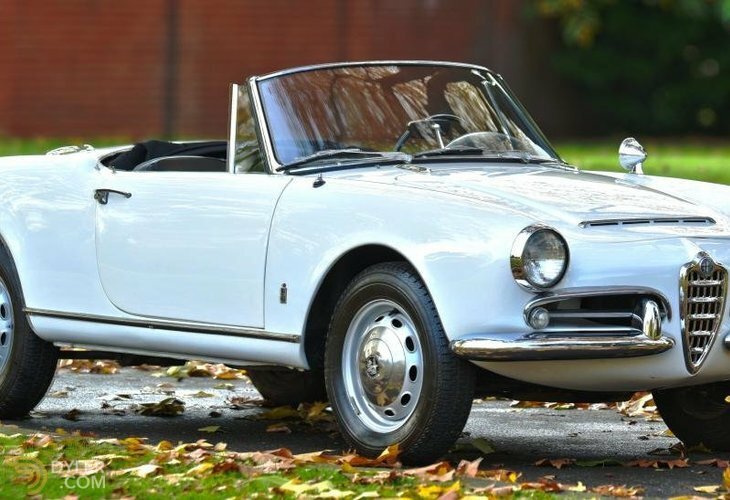 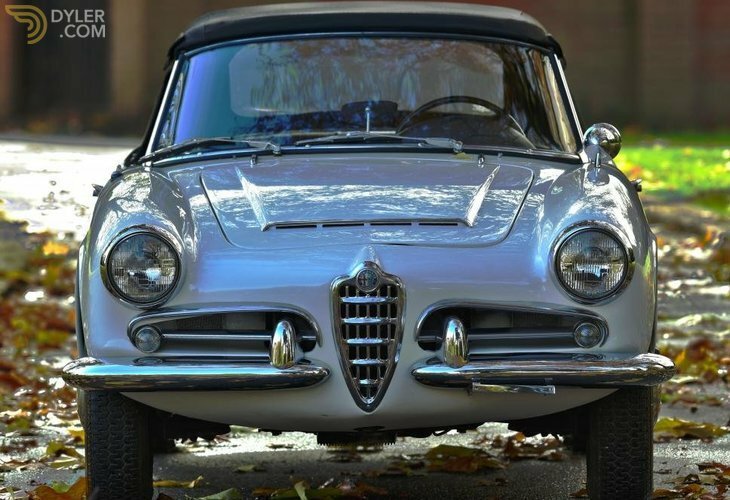 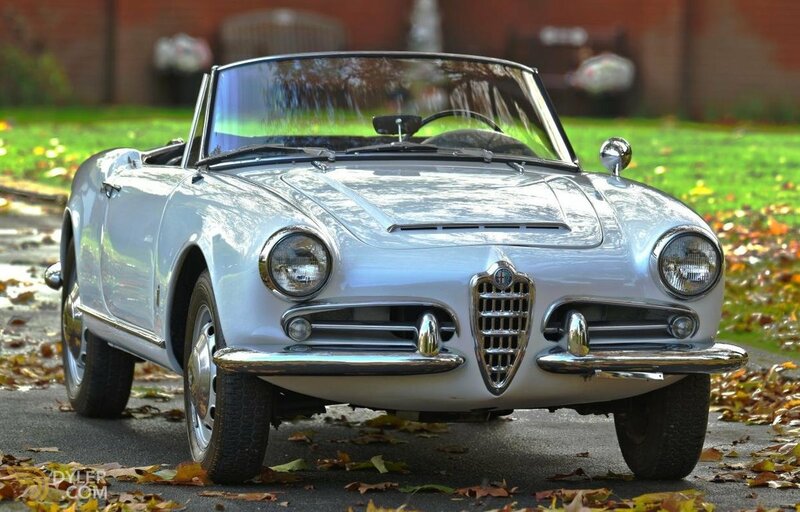 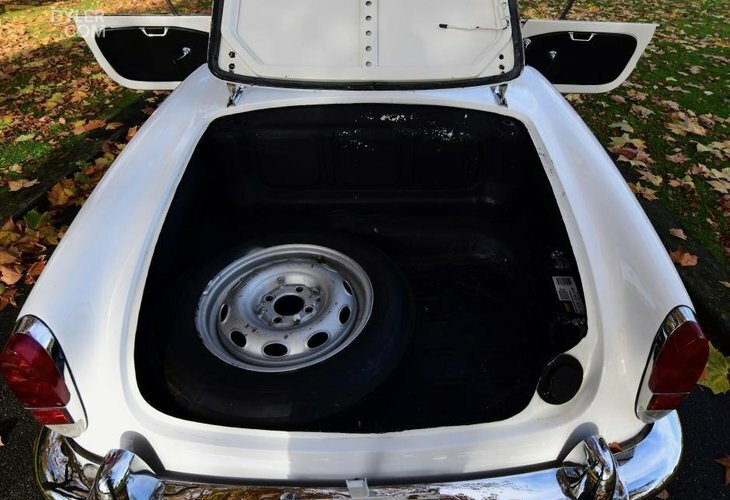 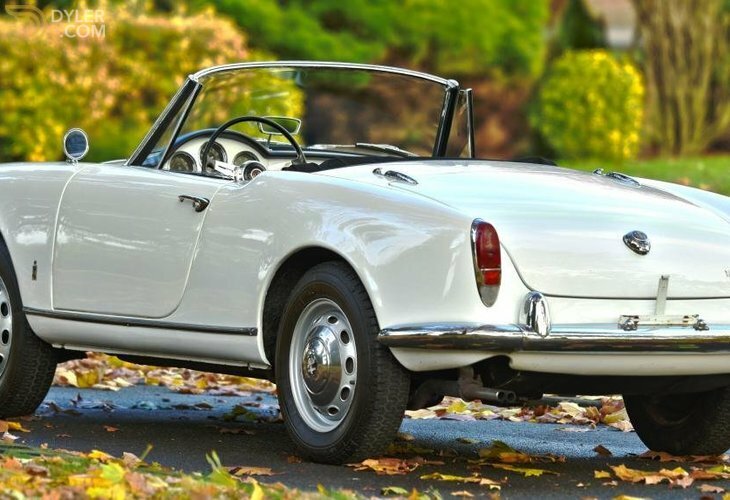 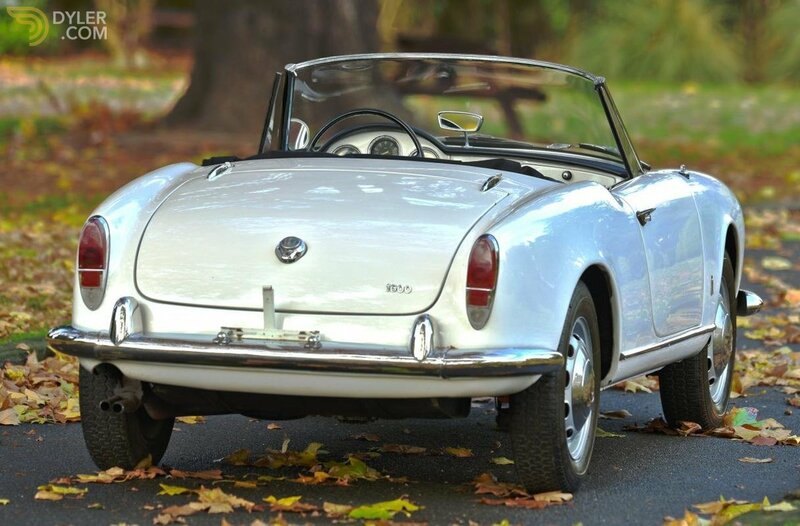 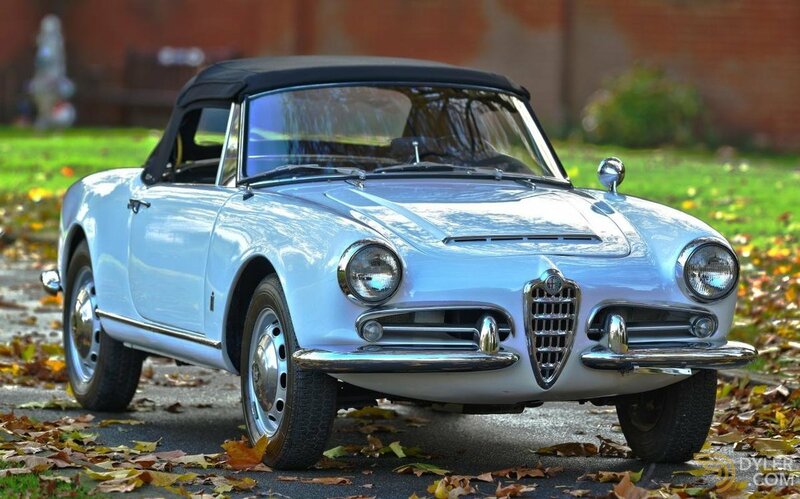 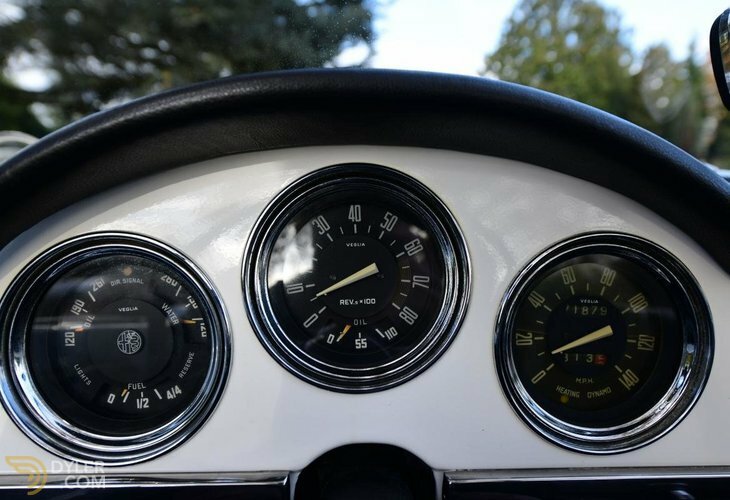 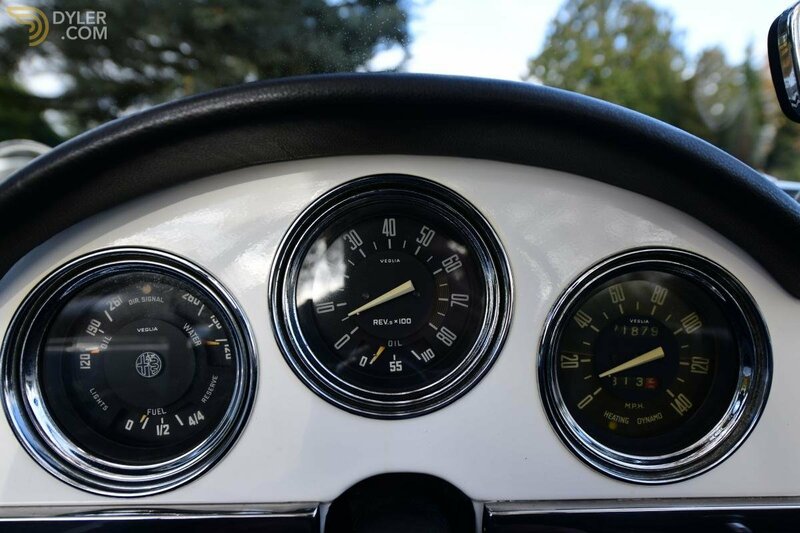 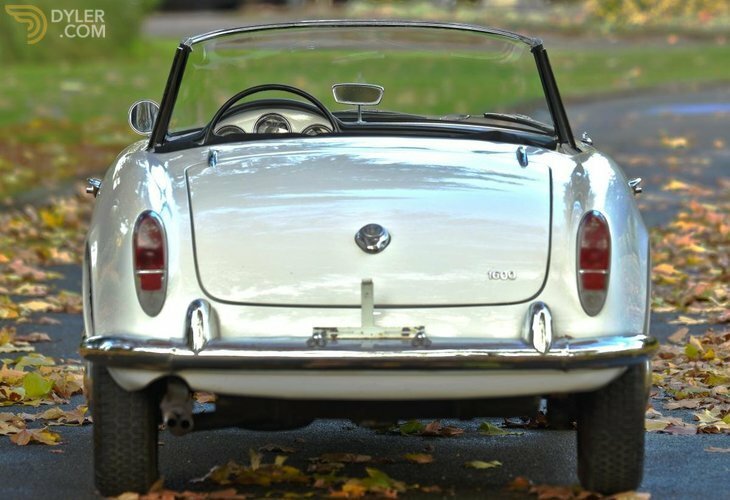 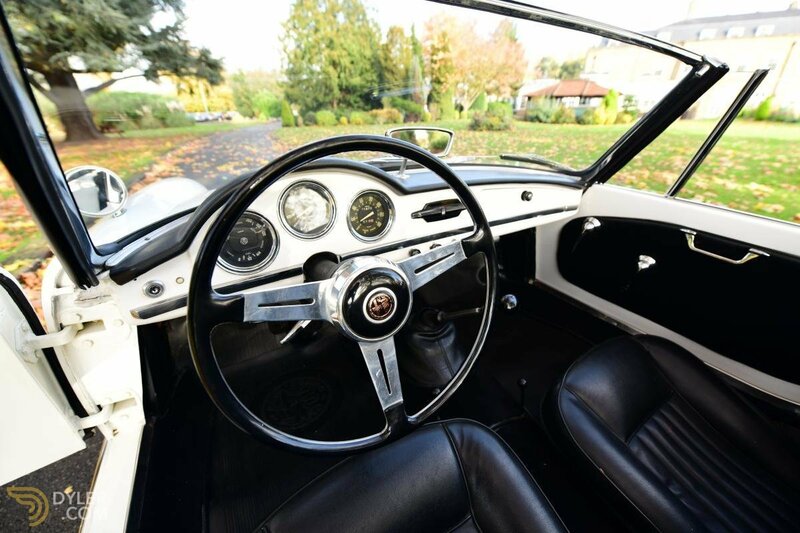 This 1966 Alfa Romeo Giulia Spider comes to us with 71,879 miles from new. 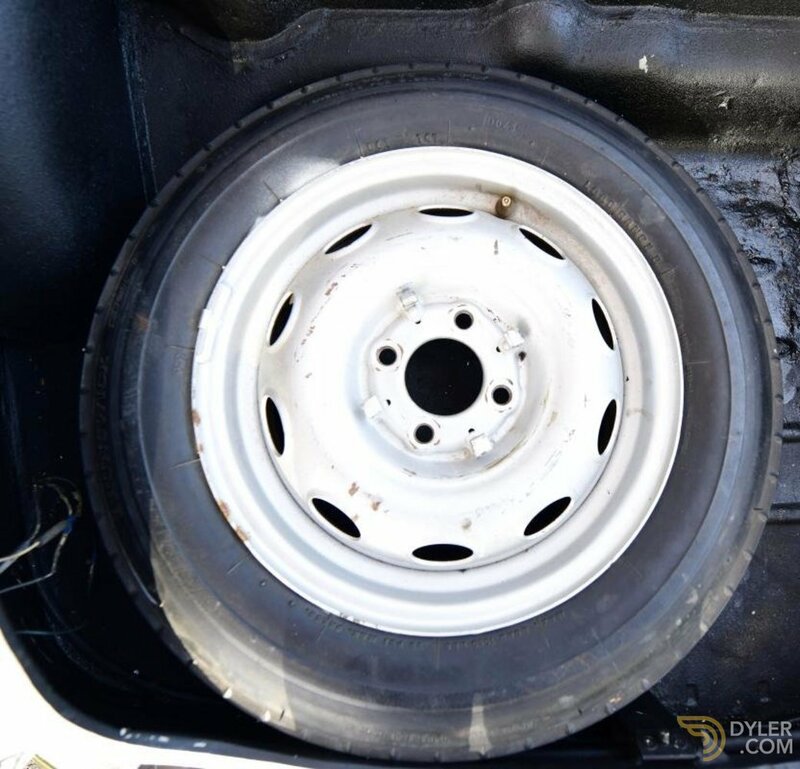 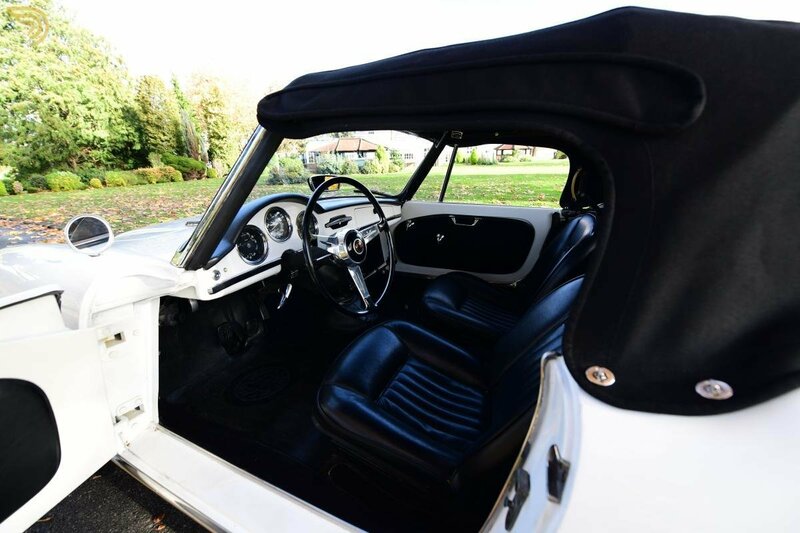 This beauitful example is finished in unmarked white with a very nice black leather interior. 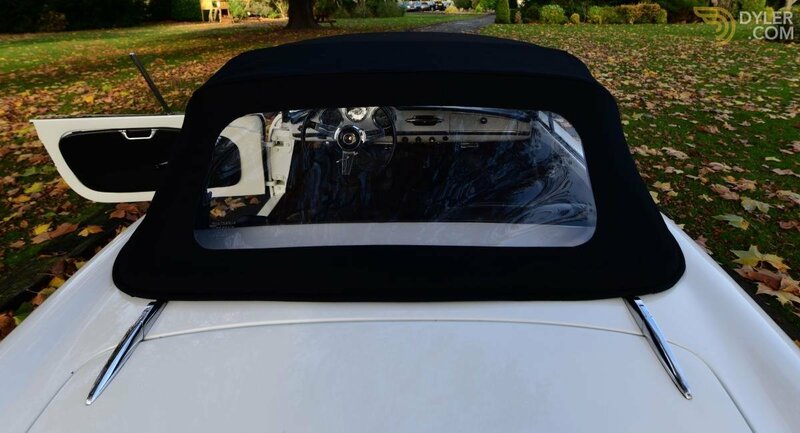 This Spider benefits from the fitment of a new mohair roof. 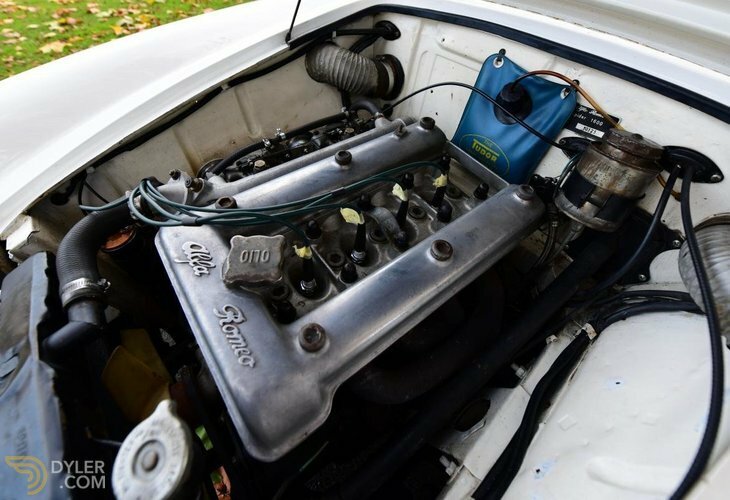 The Alfa is in perfect running order, having been through our workshop. 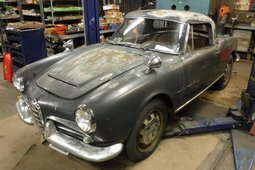 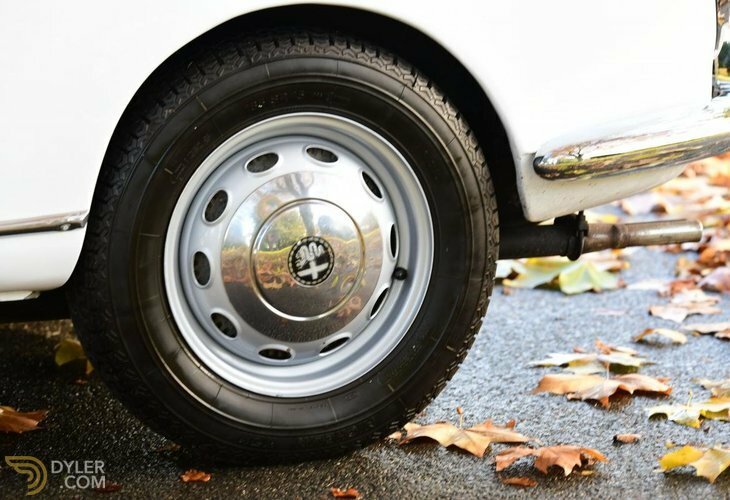 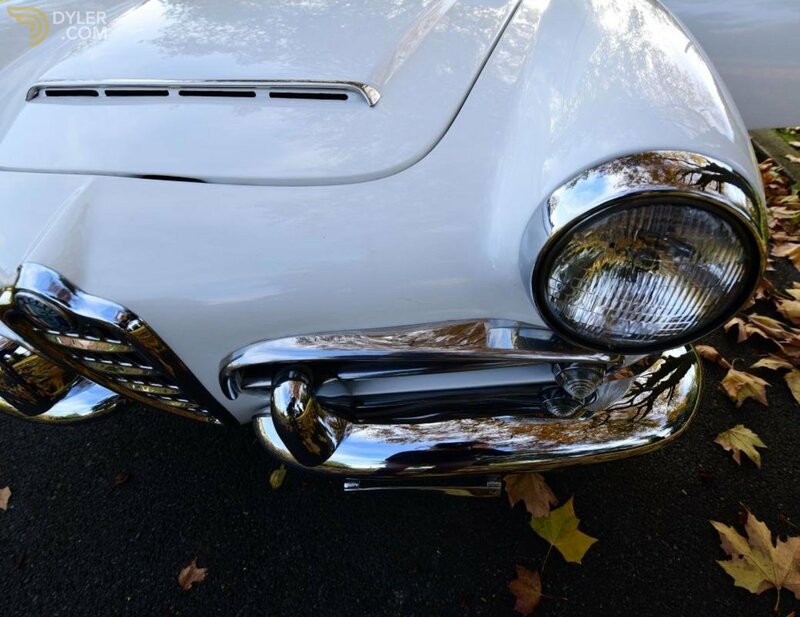 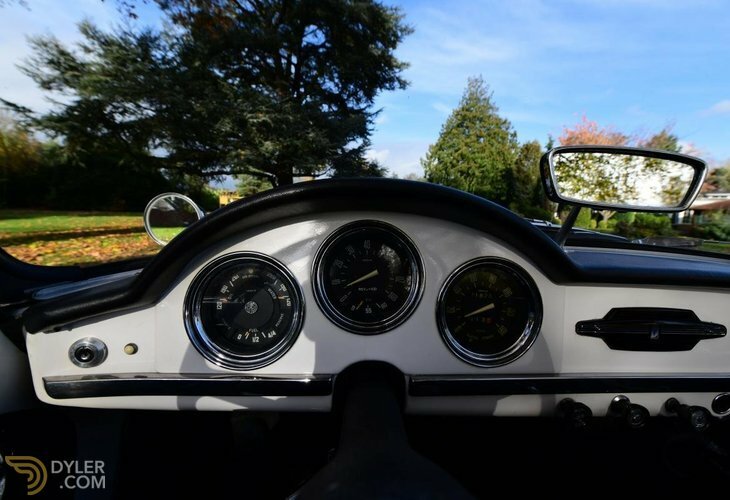 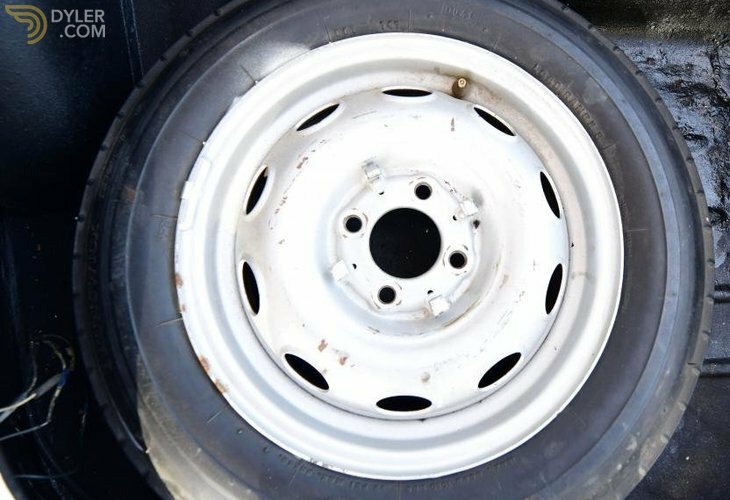 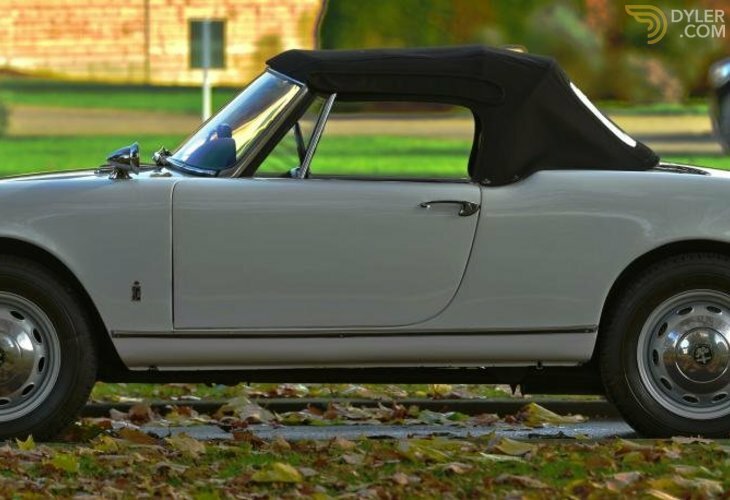 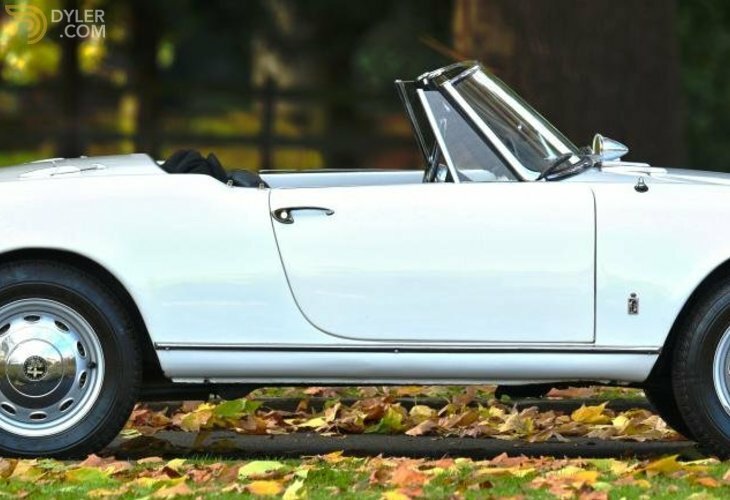 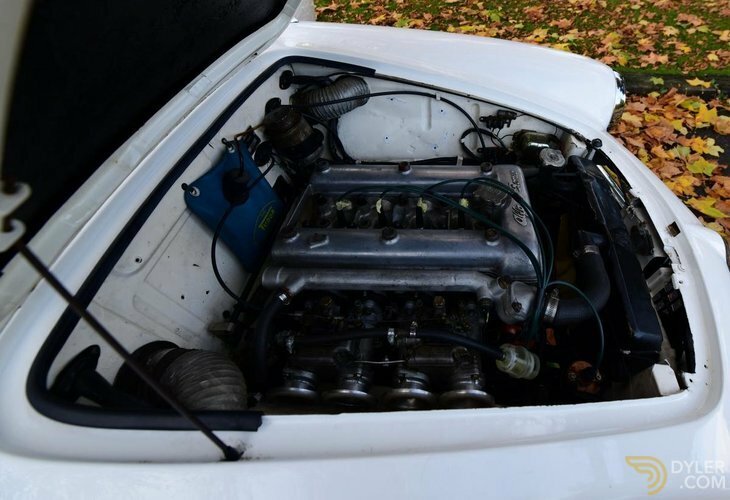 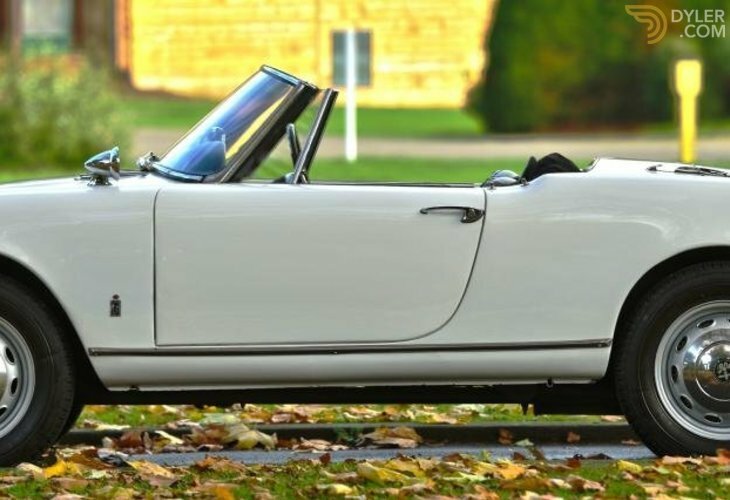 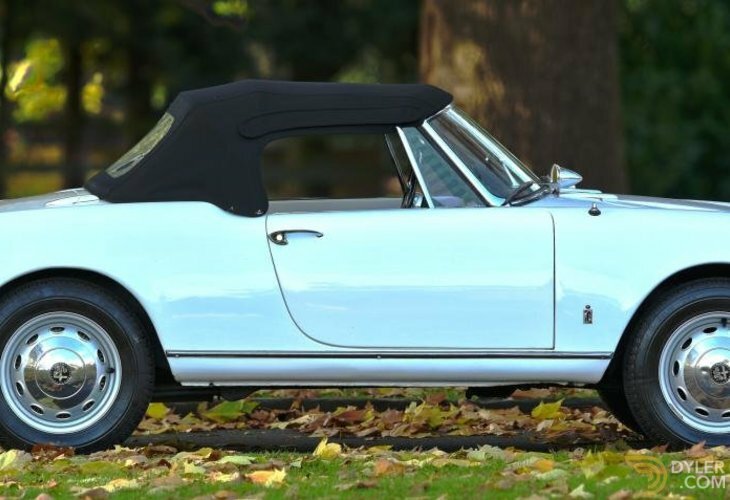 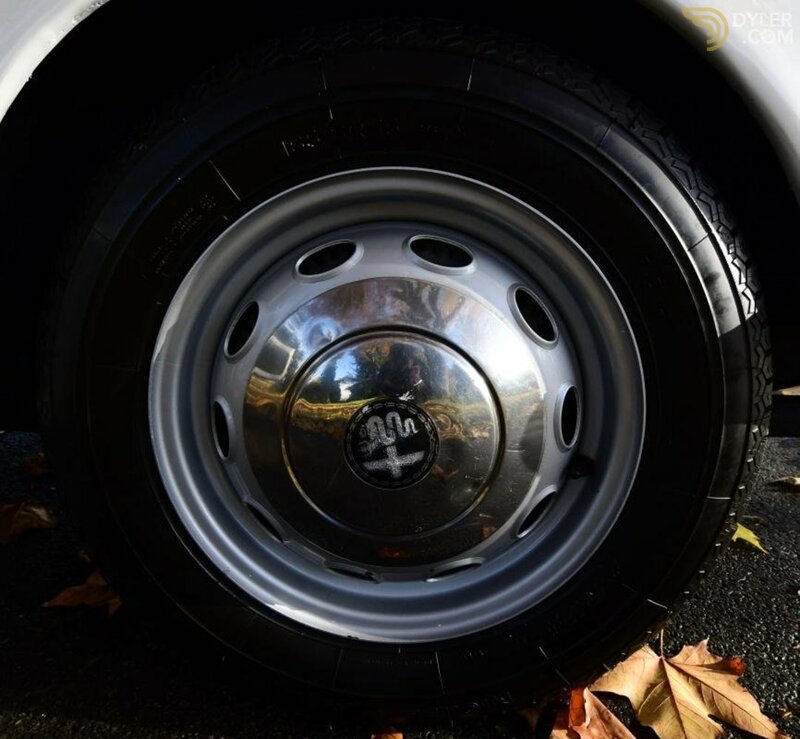 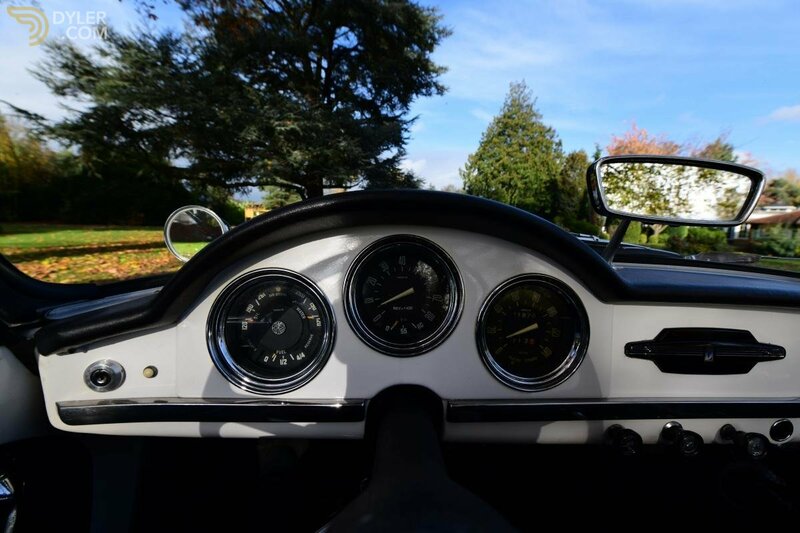 This little italian sports car is in perfect working condition, it simply glides along the road and is ready to be driven across the continent. 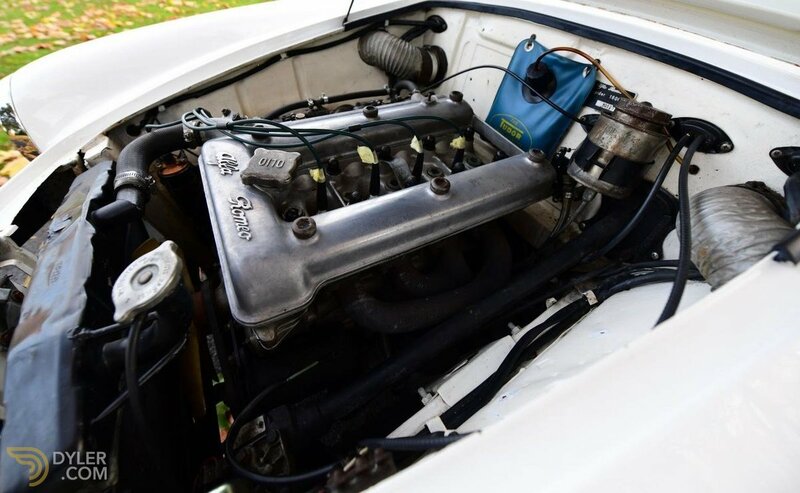 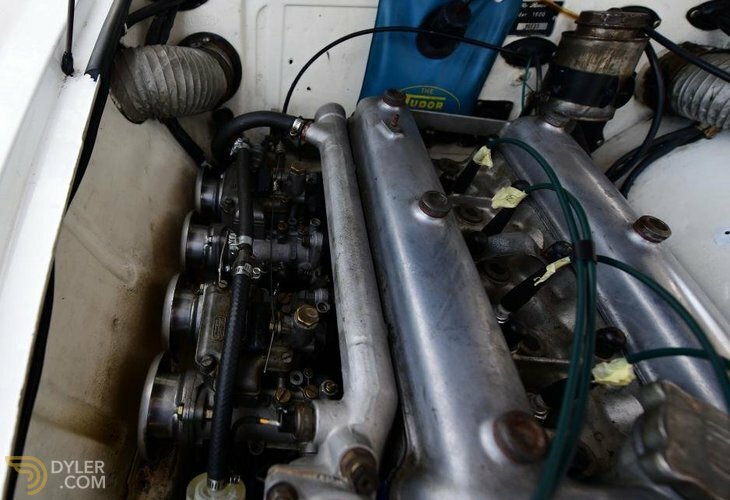 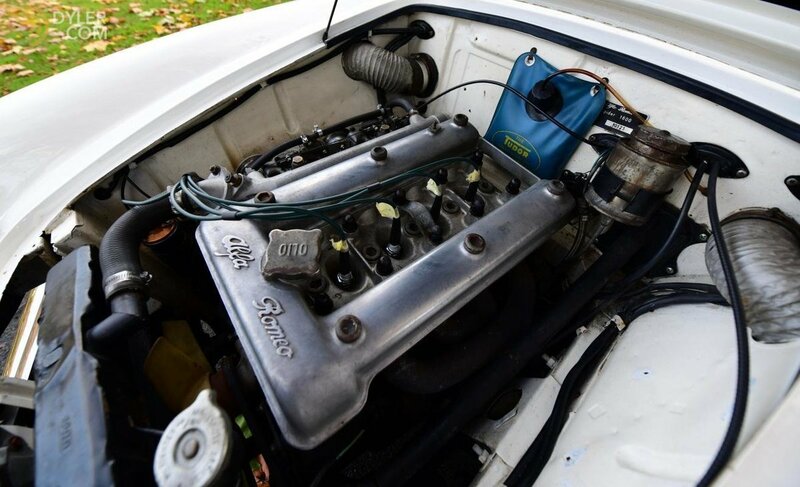 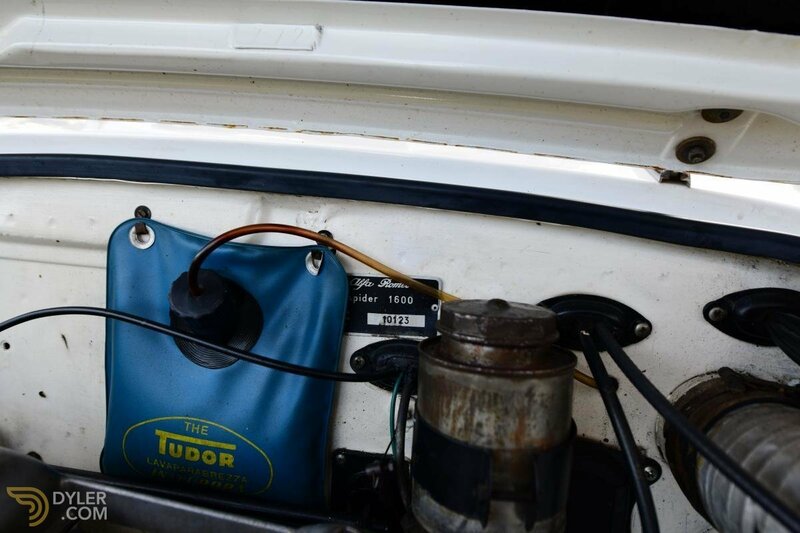 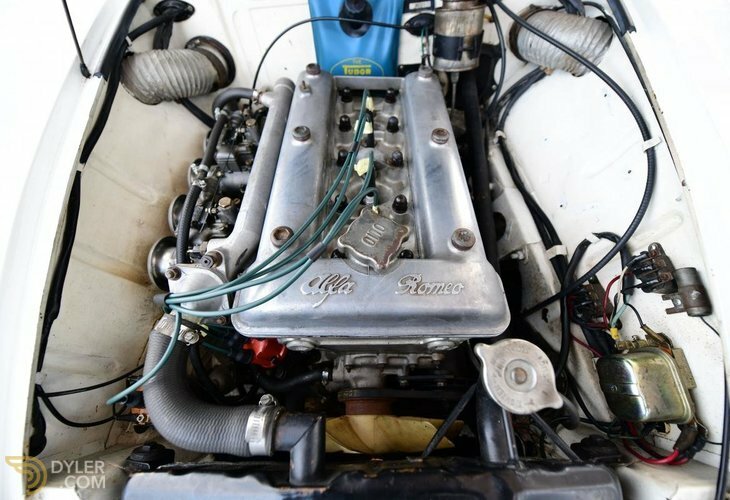 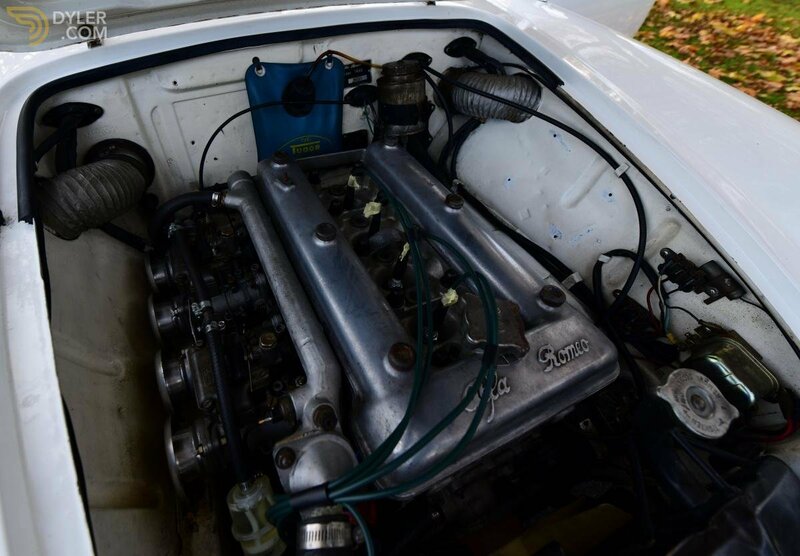 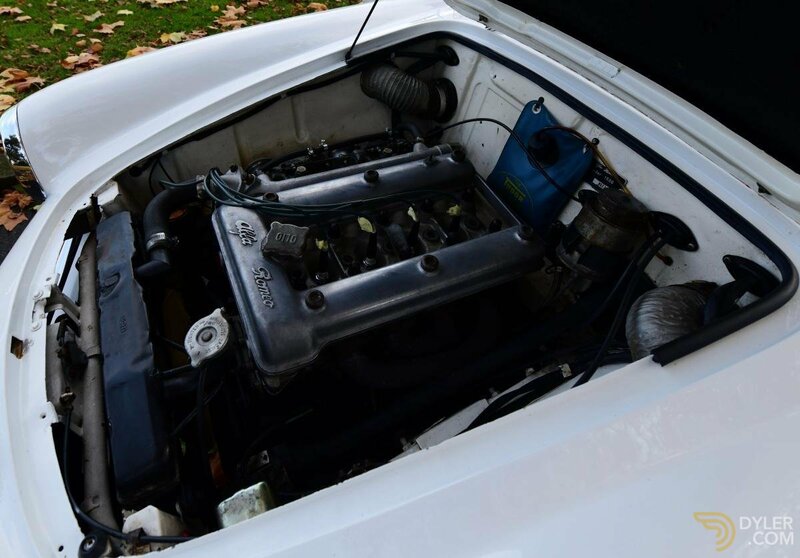 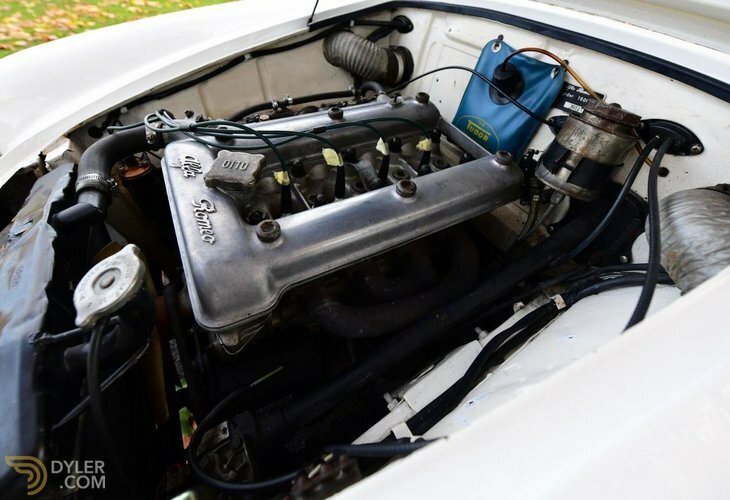 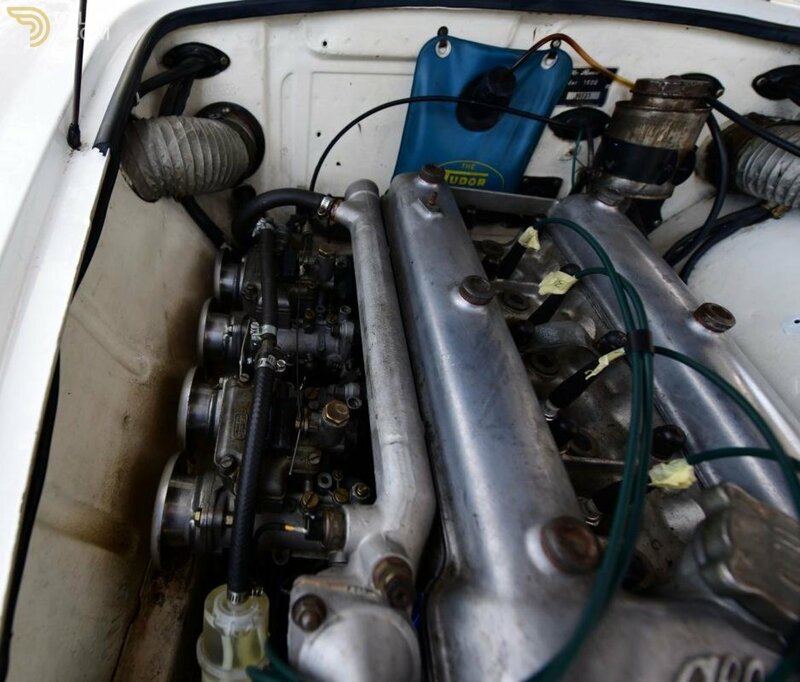 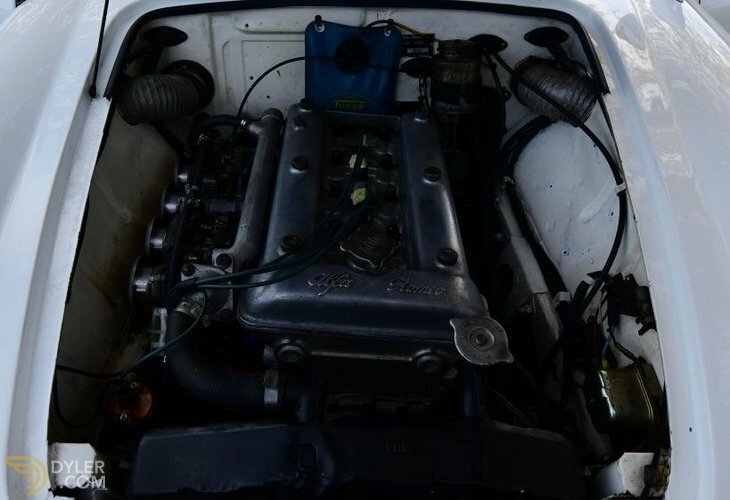 Performance has been further enhanced with twin Dell’Orto carburettors and four open trumpet intakes. 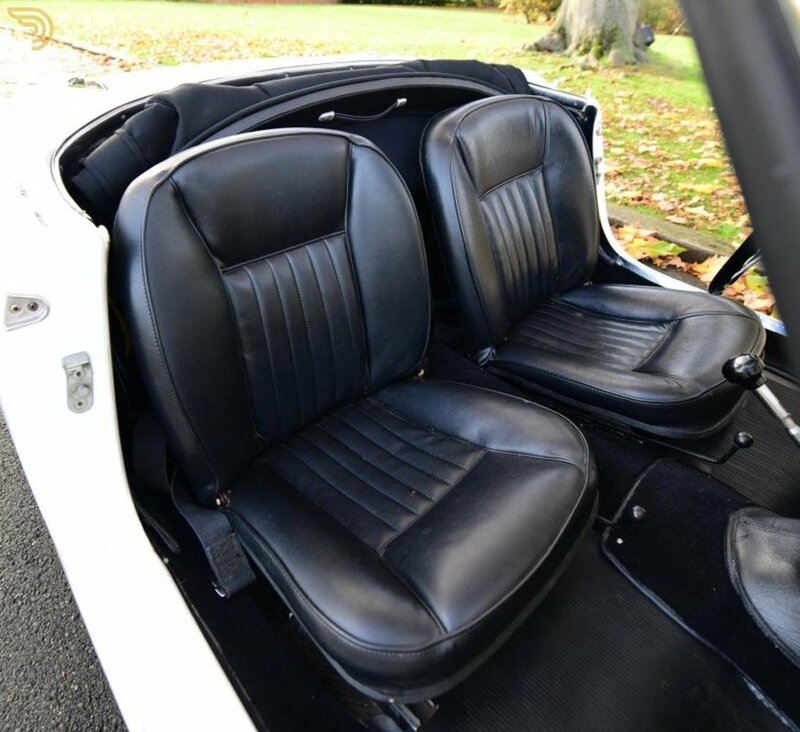 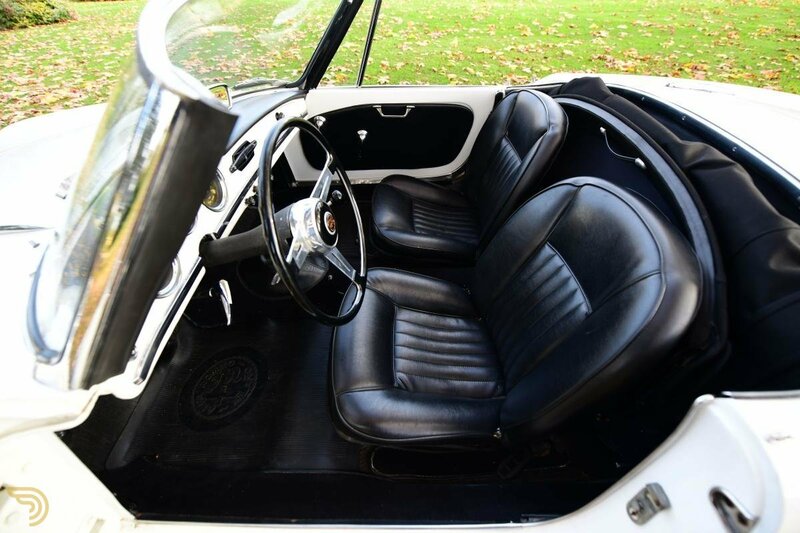 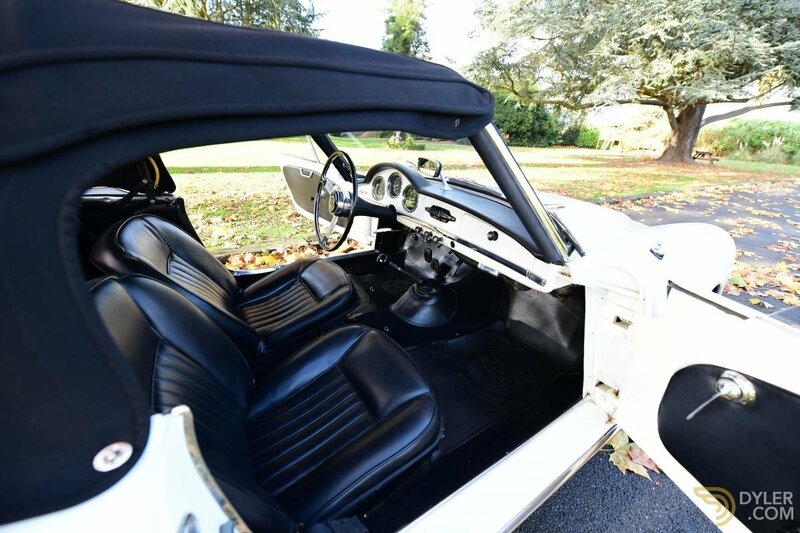 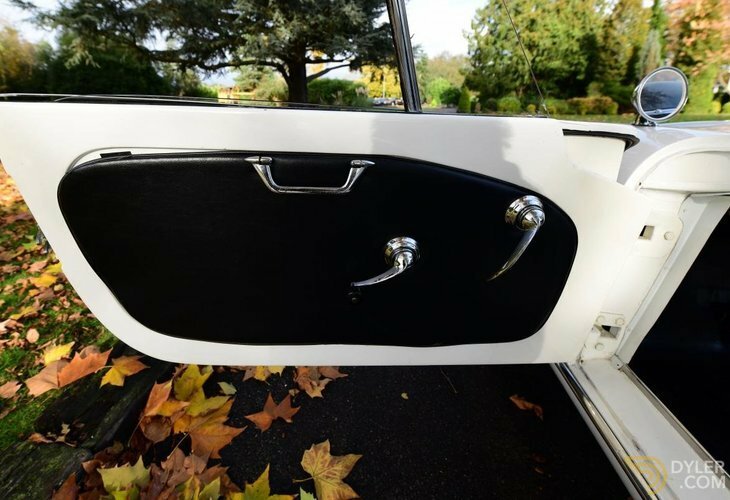 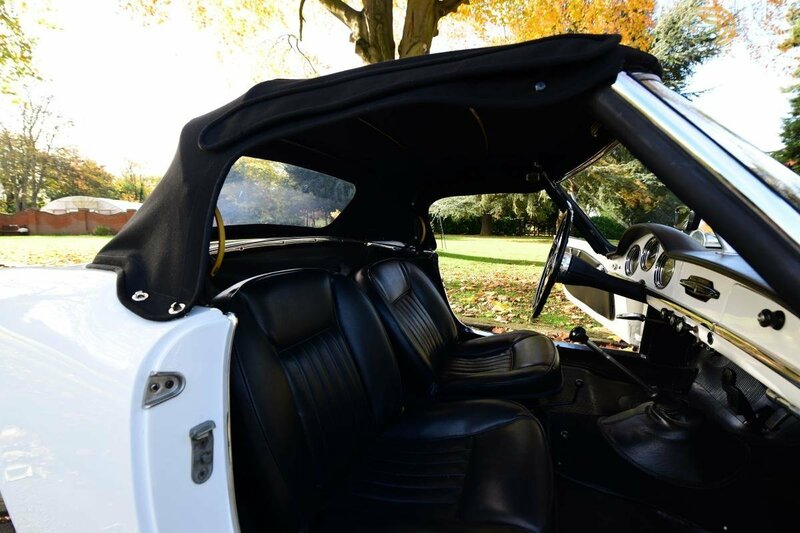 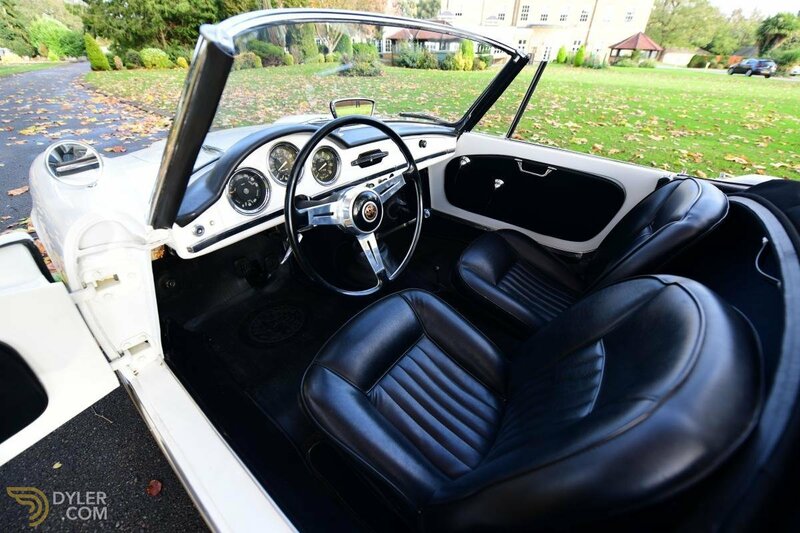 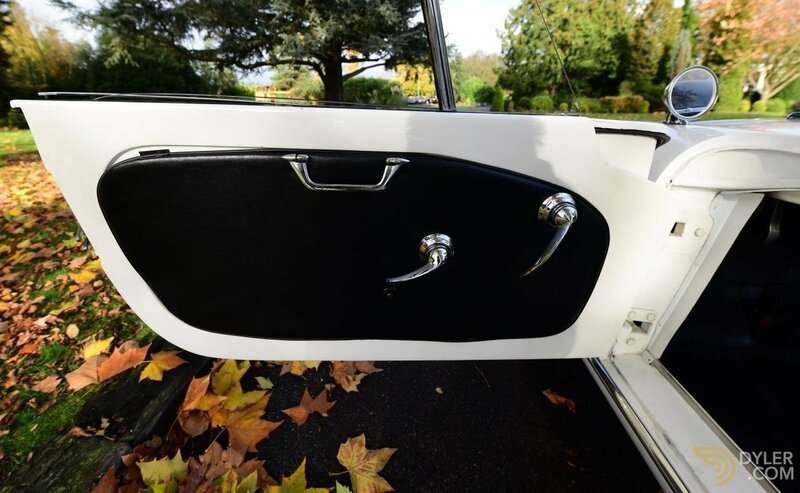 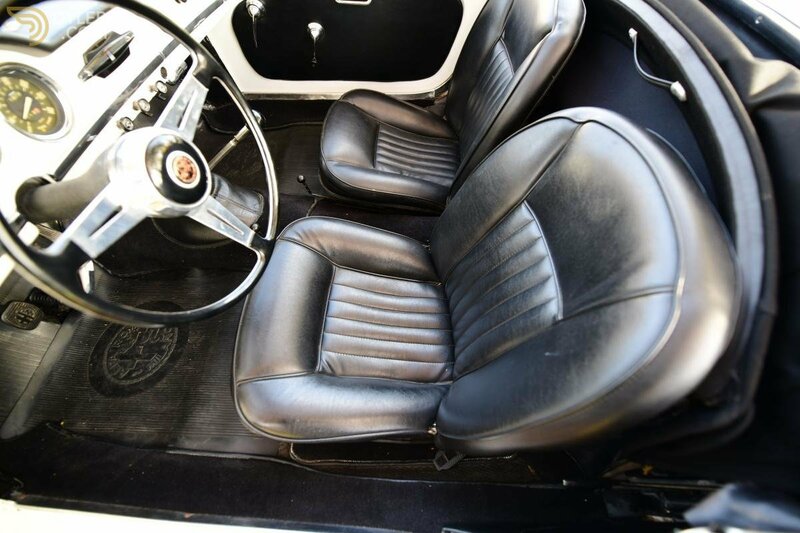 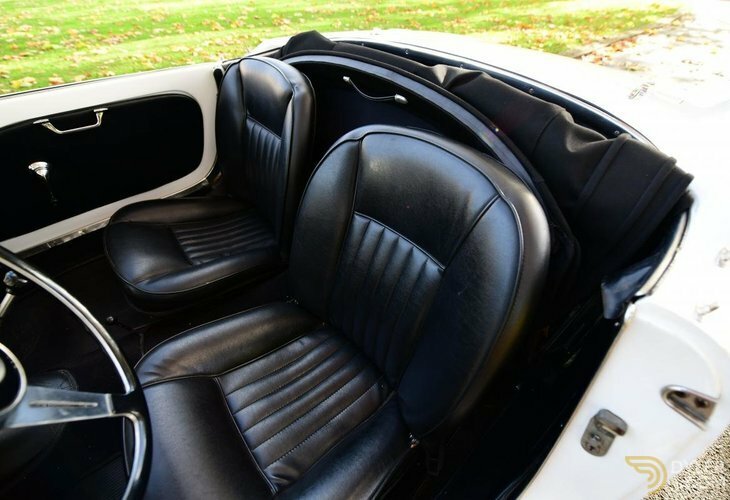 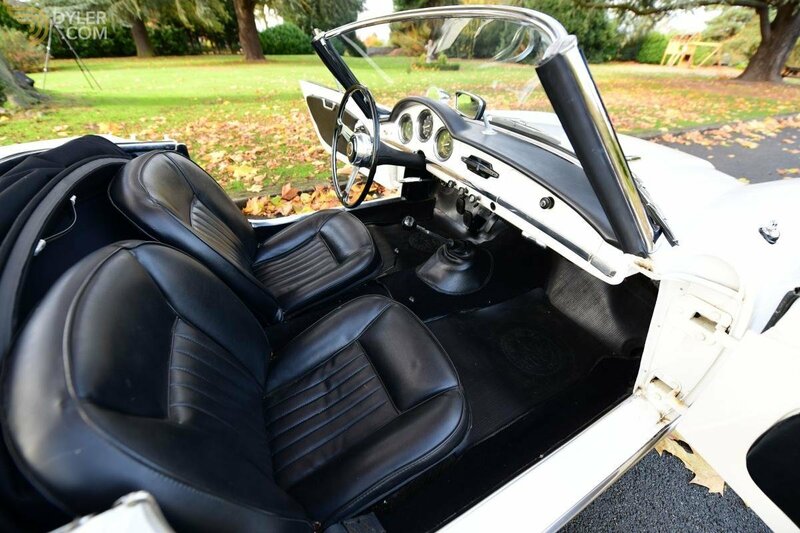 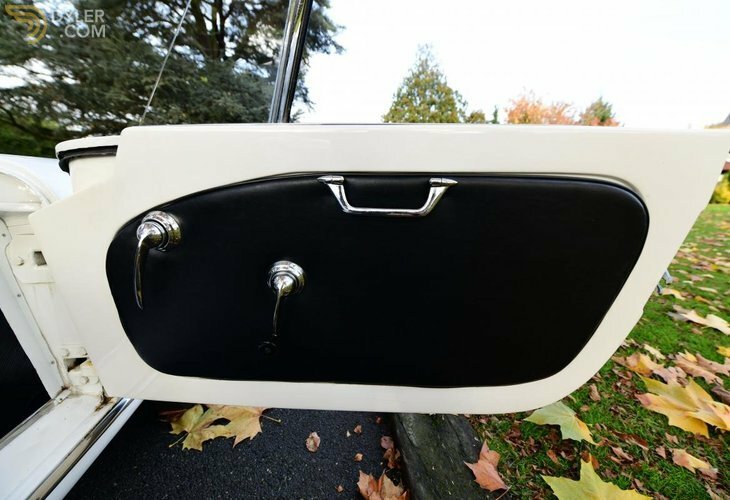 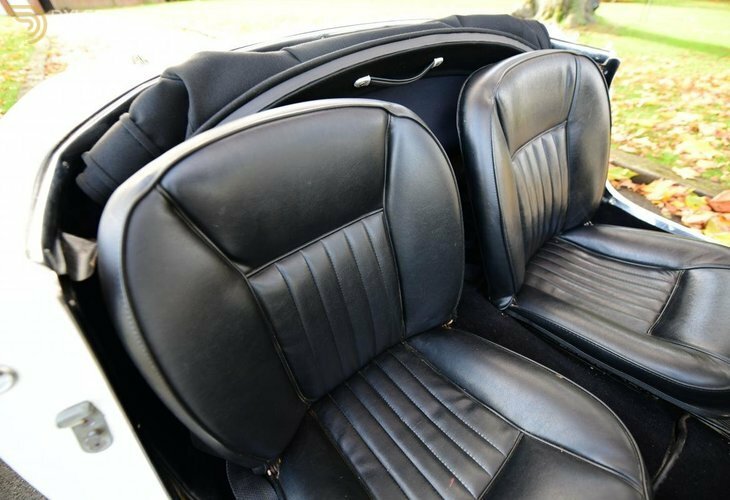 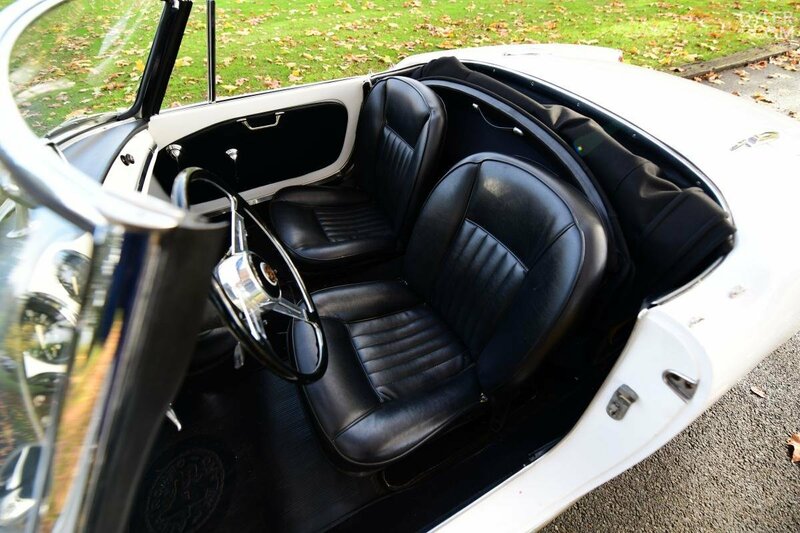 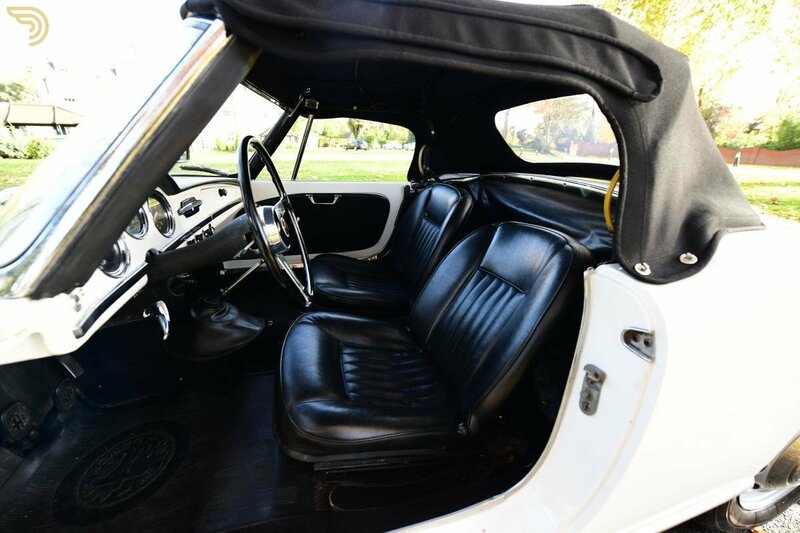 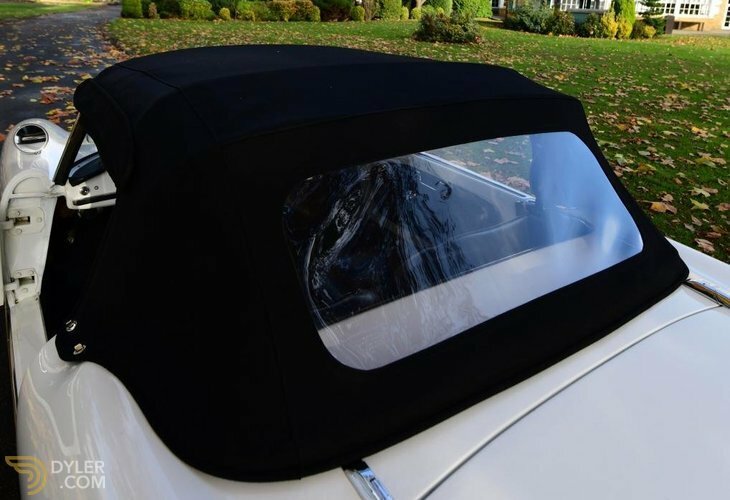 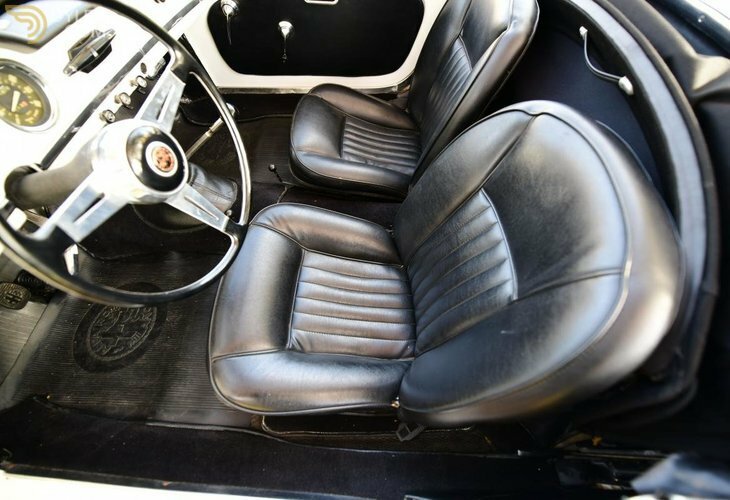 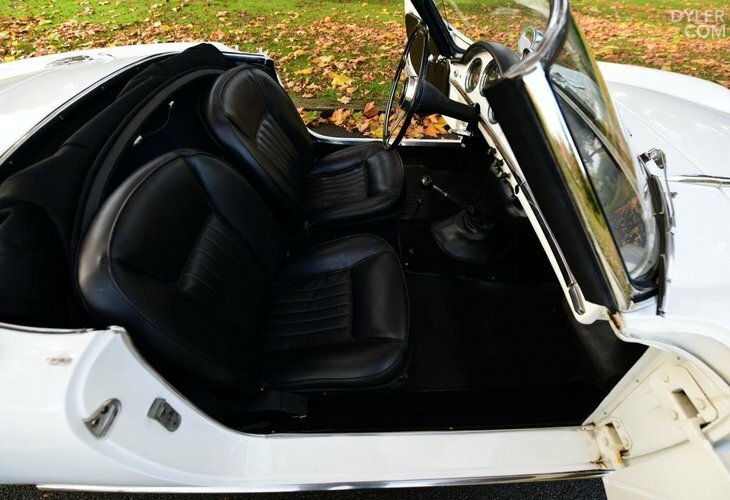 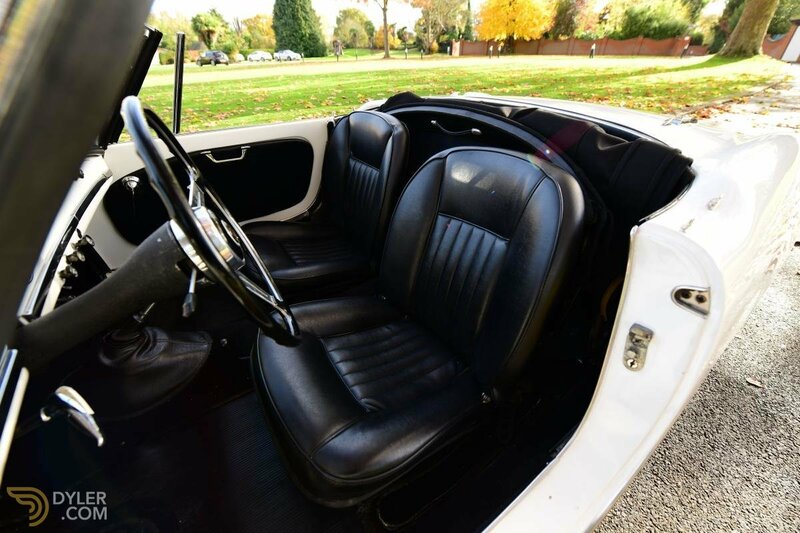 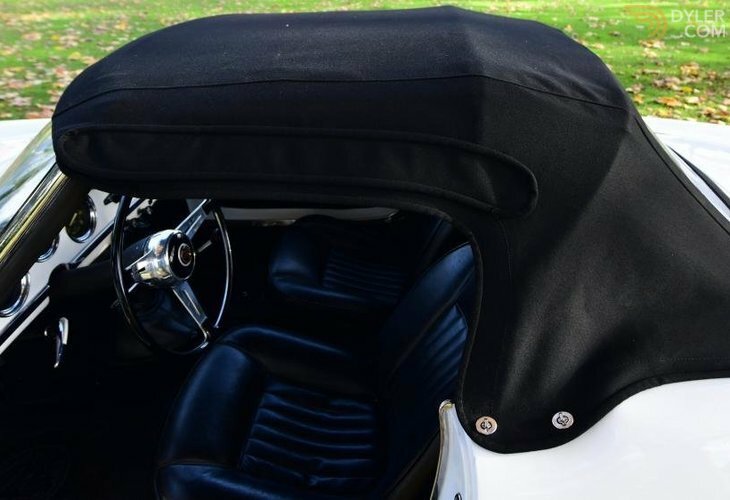 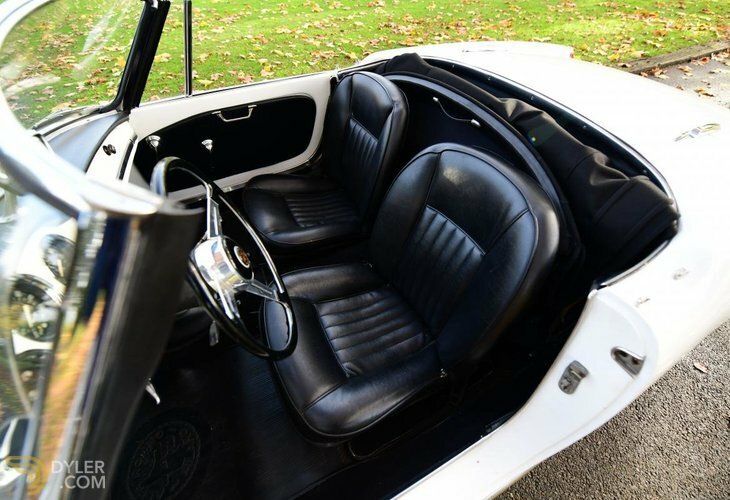 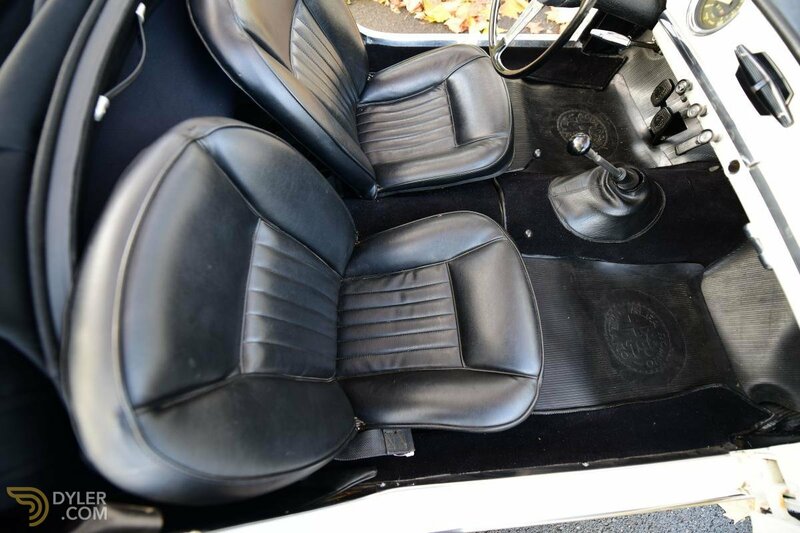 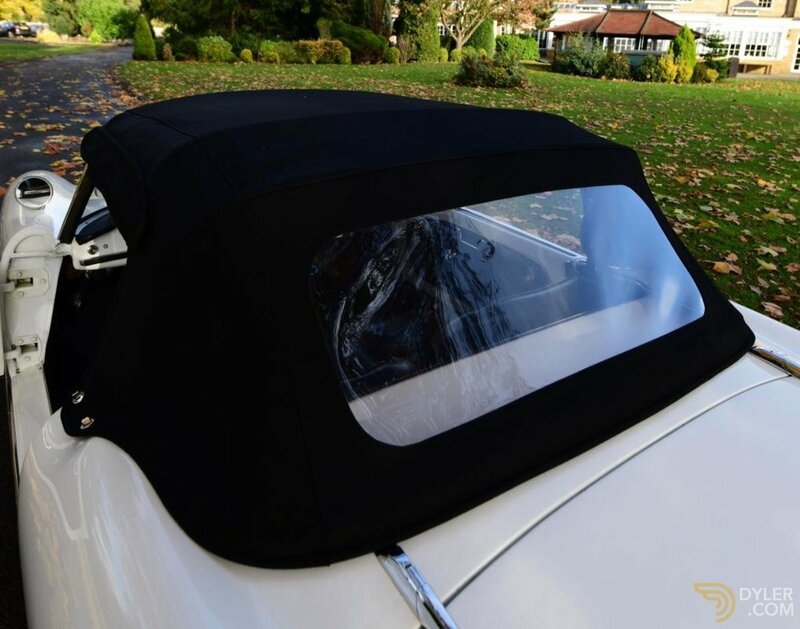 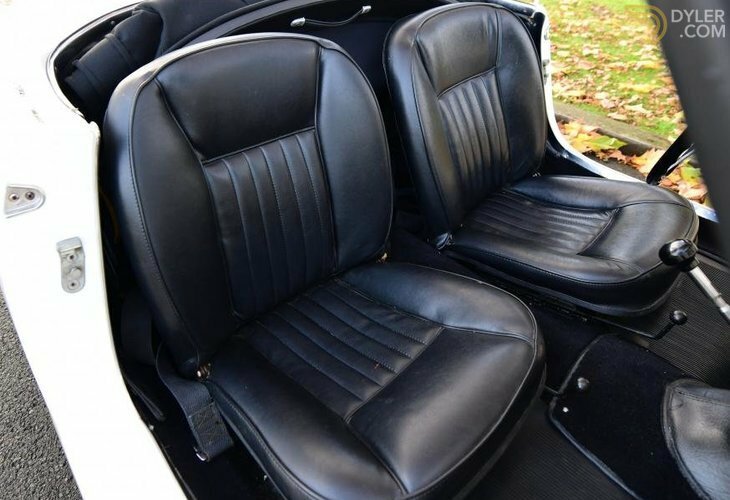 The seats have fluted centres and are in very good condition, the quality remains with the rest of the interior with the black leather being complimented by chrome finishings and a body colour dashboard. 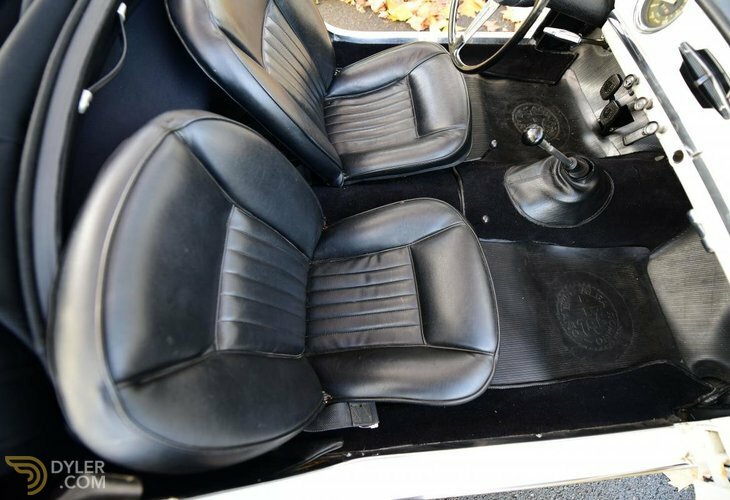 There are Alfa Romeo ribbed rubber mats to both the passenger and drivers footwells. 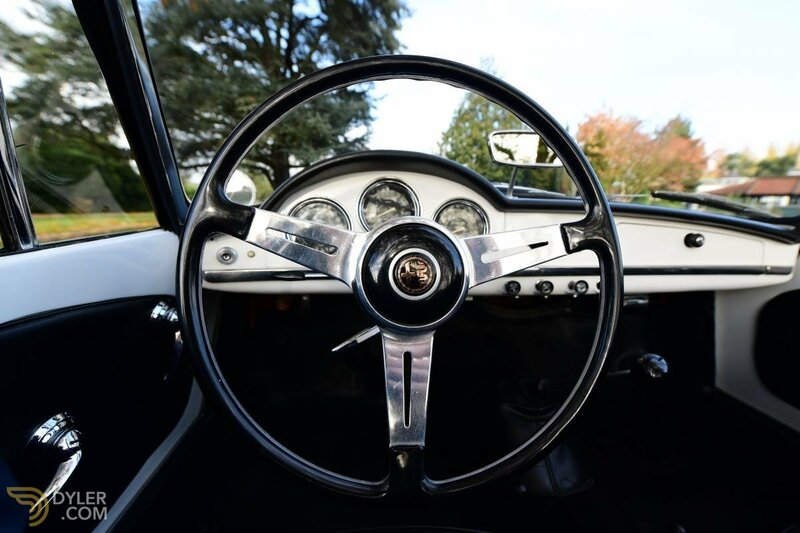 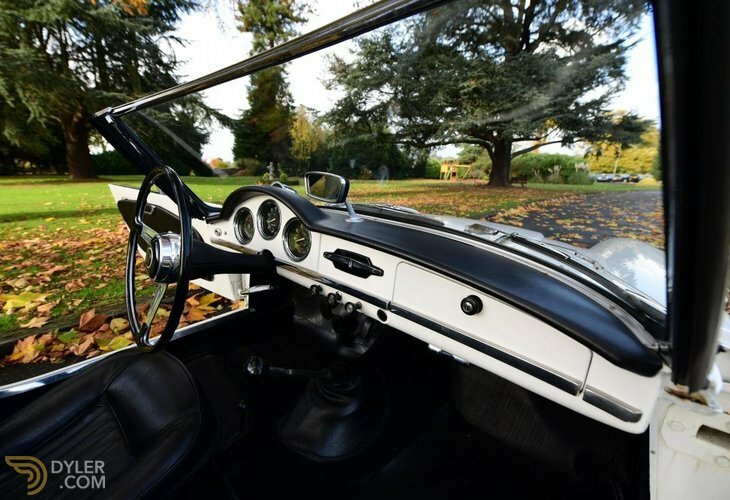 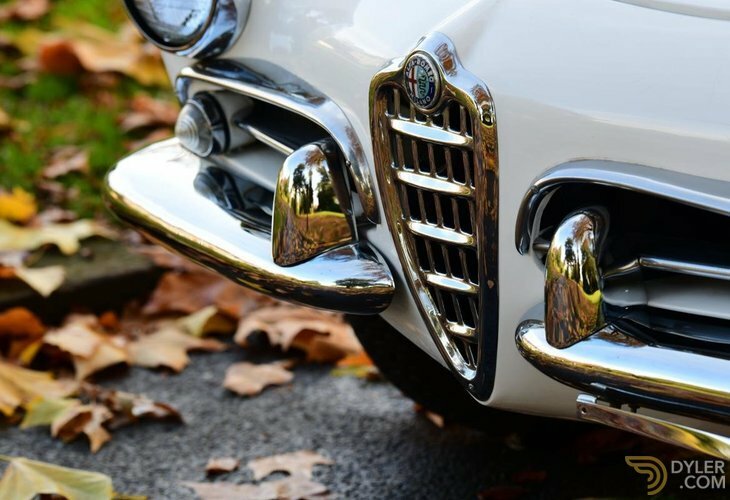 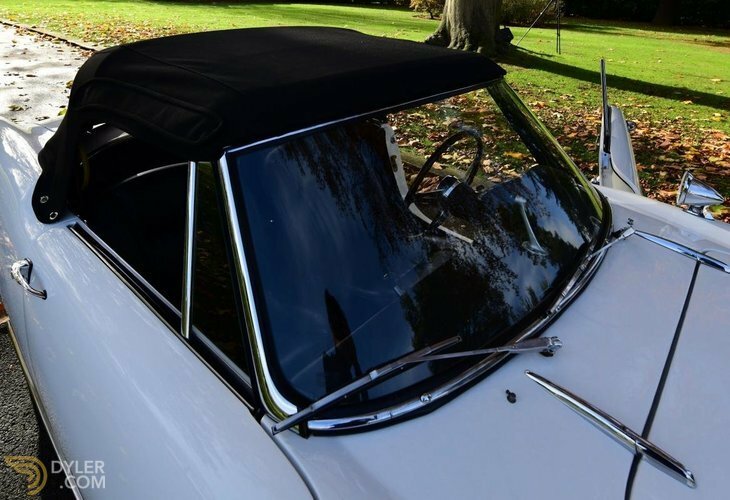 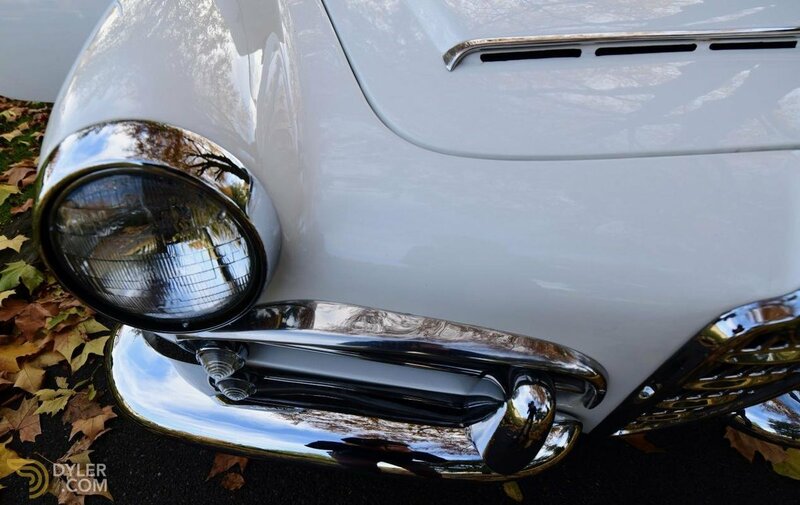 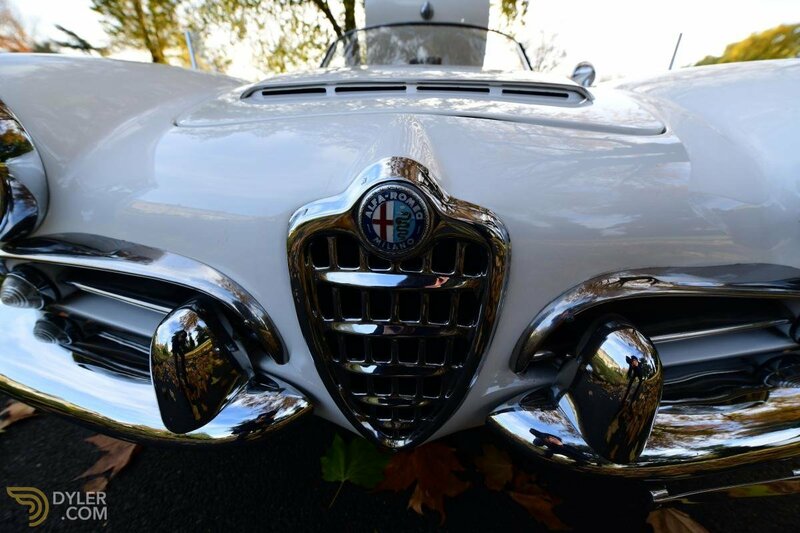 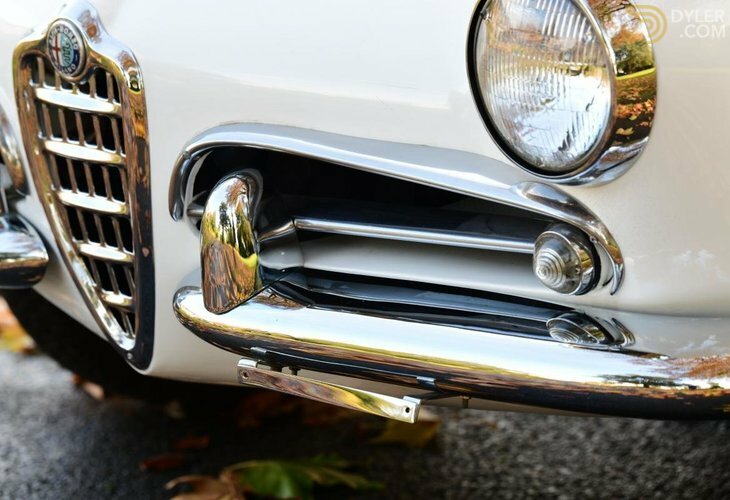 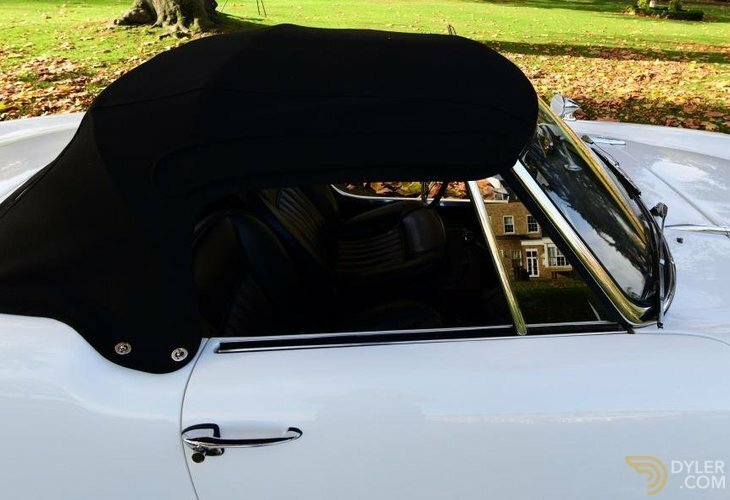 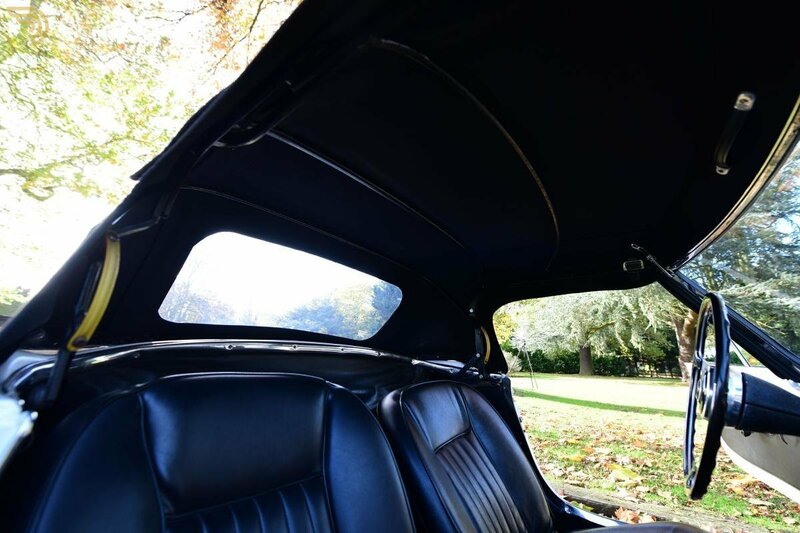 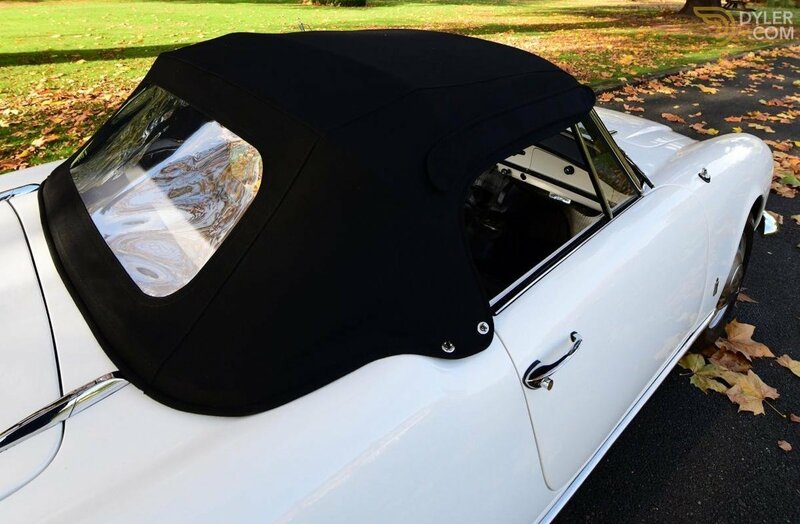 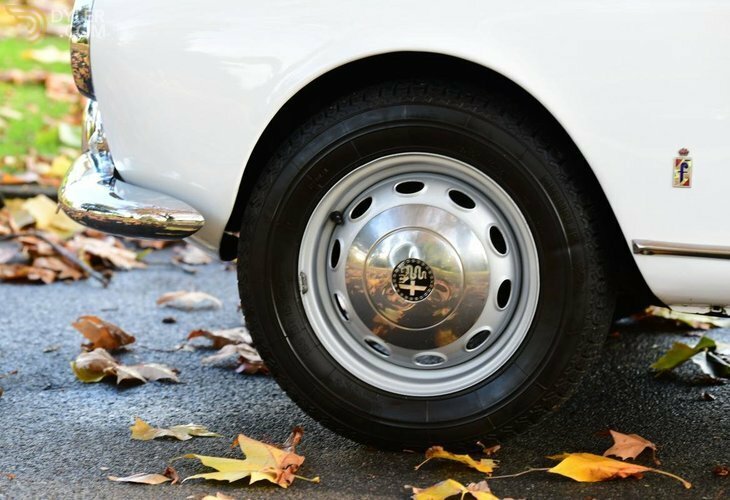 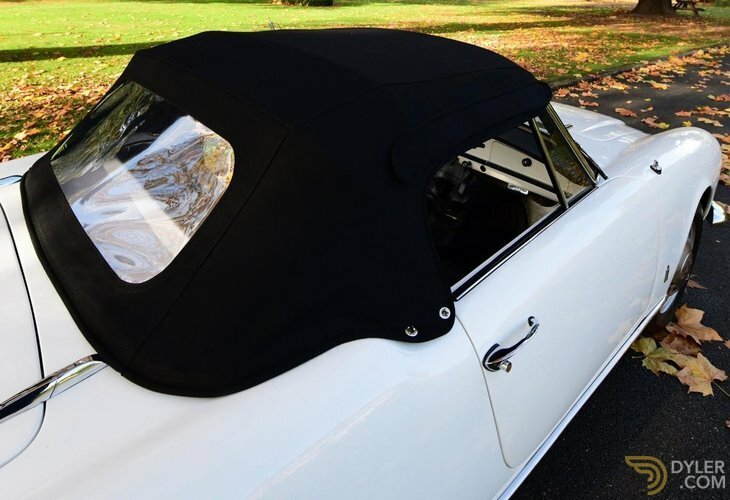 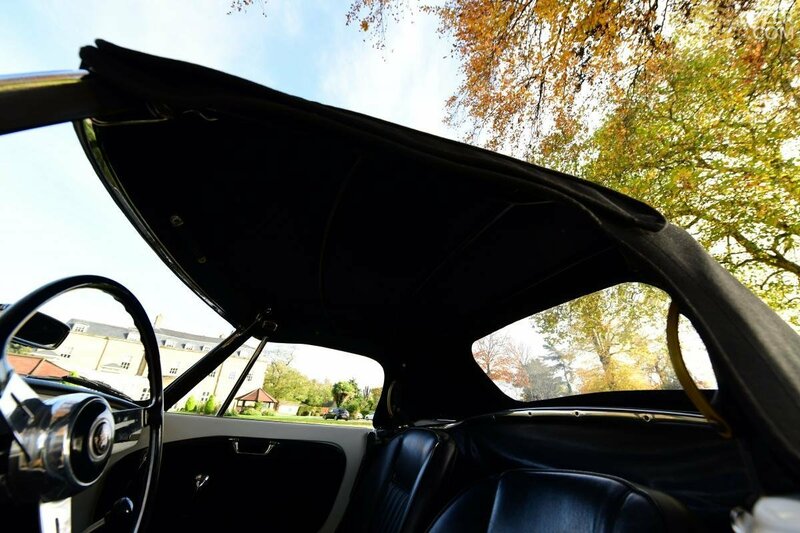 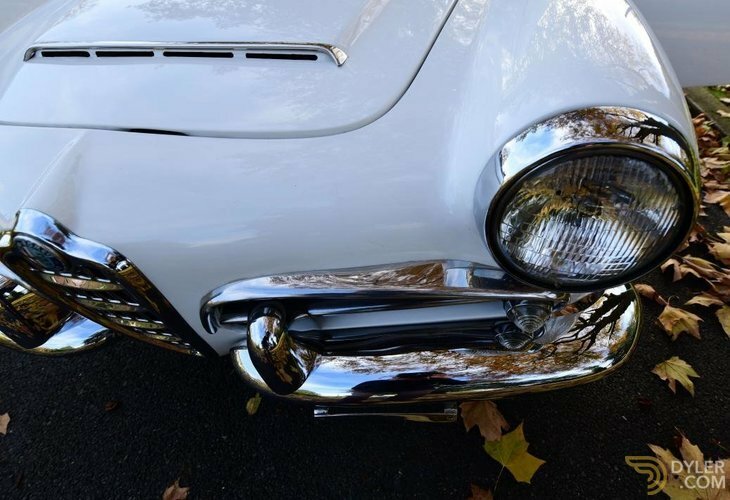 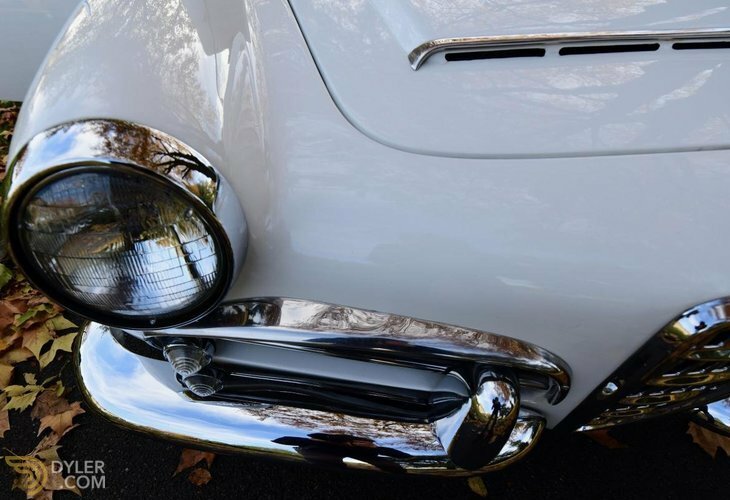 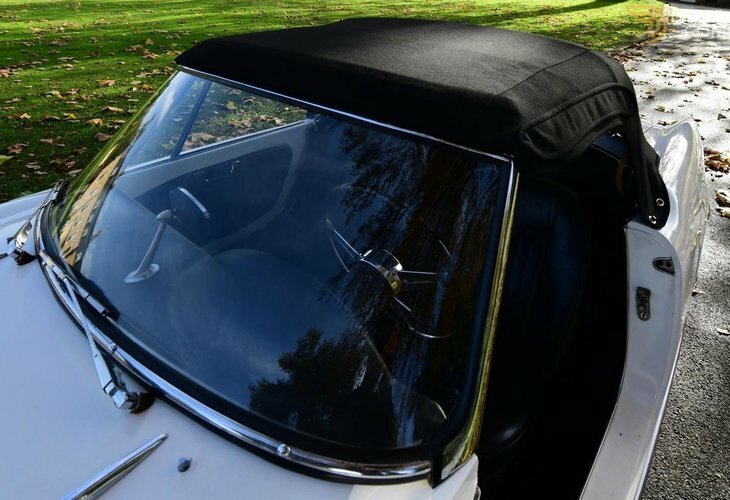 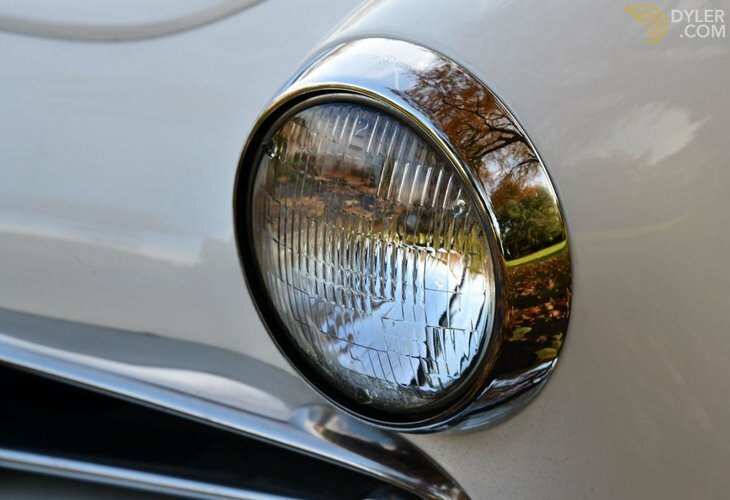 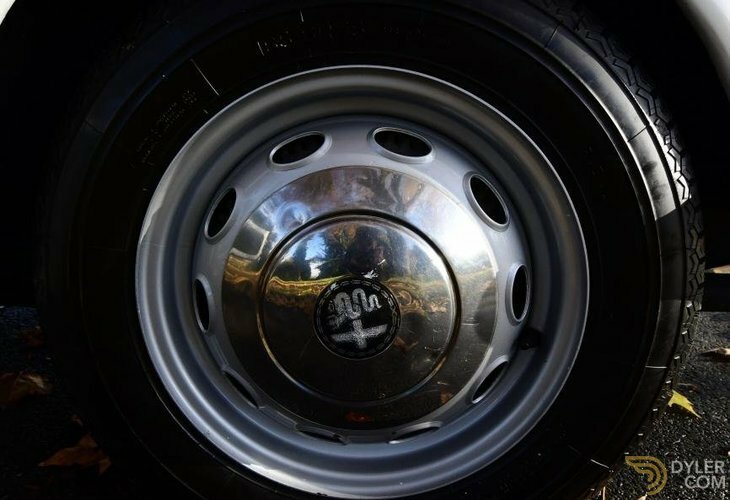 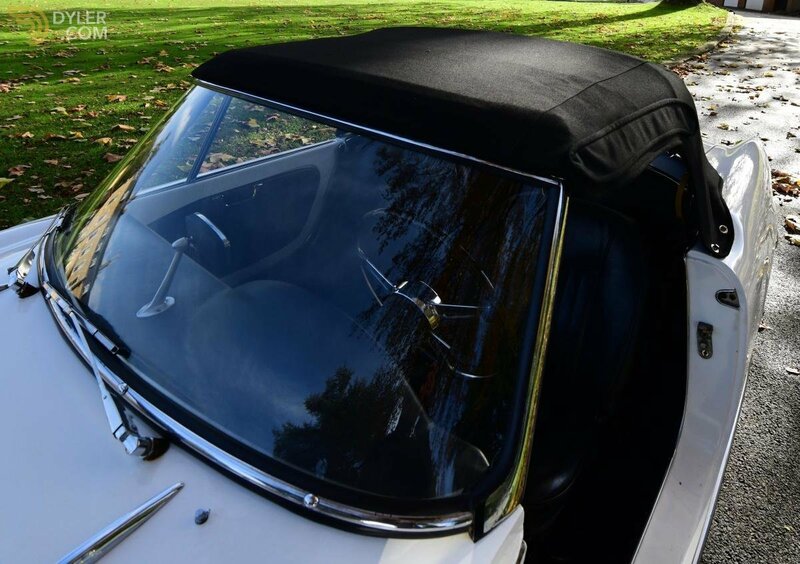 With the roof up or down the Pinin Farina design is simply stunning. 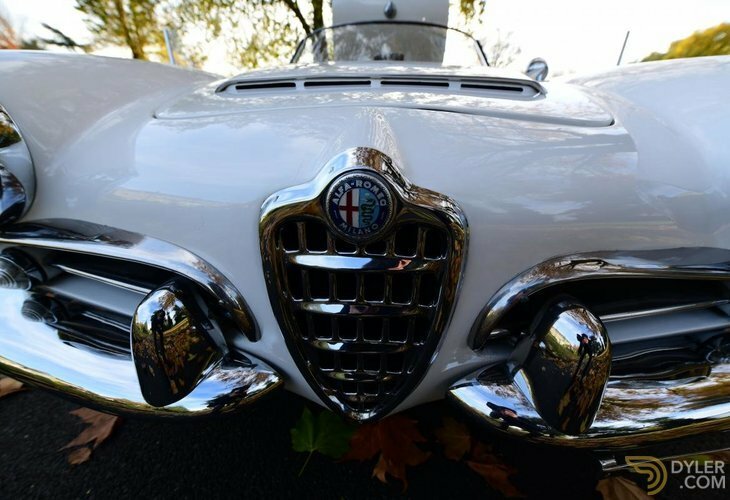 The body is curvatious and the body lines flow magnificently, a true Italian masterpiece! 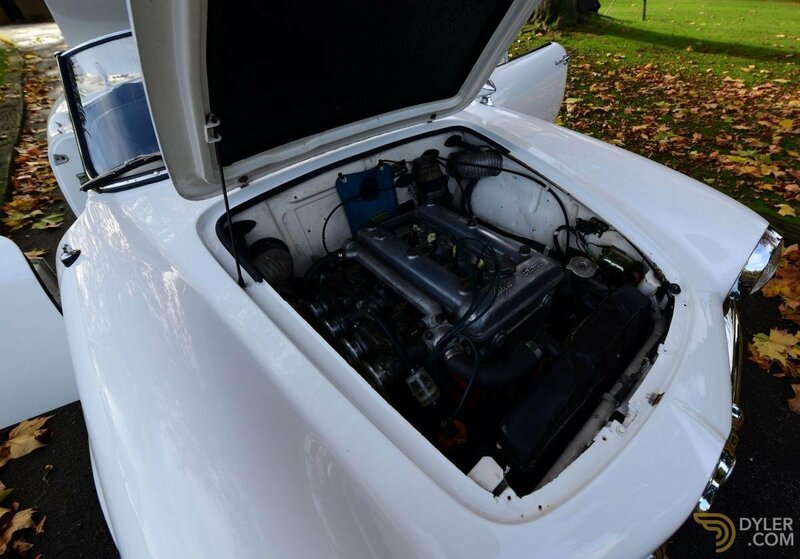 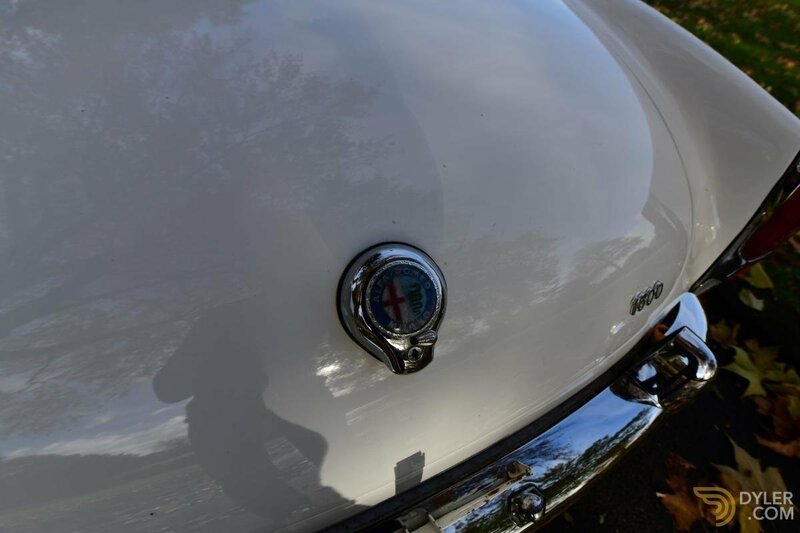 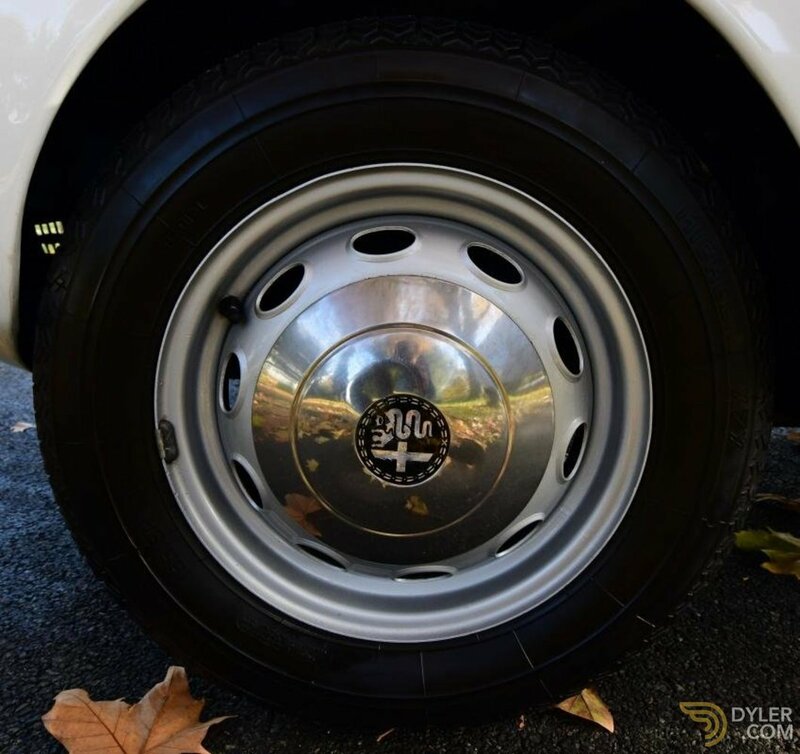 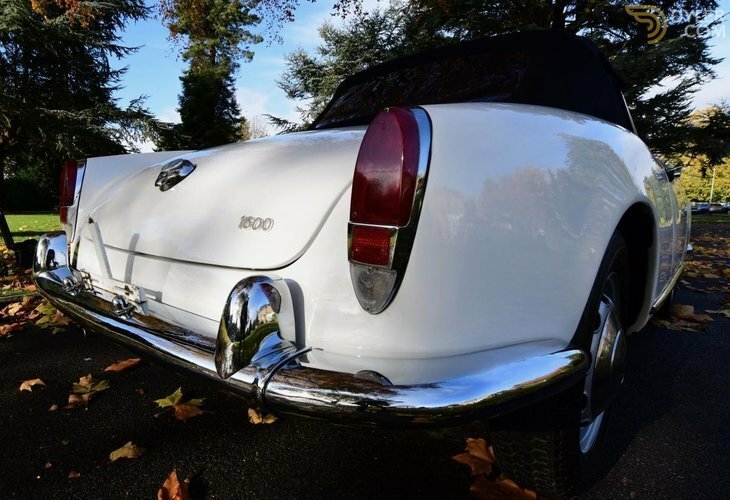 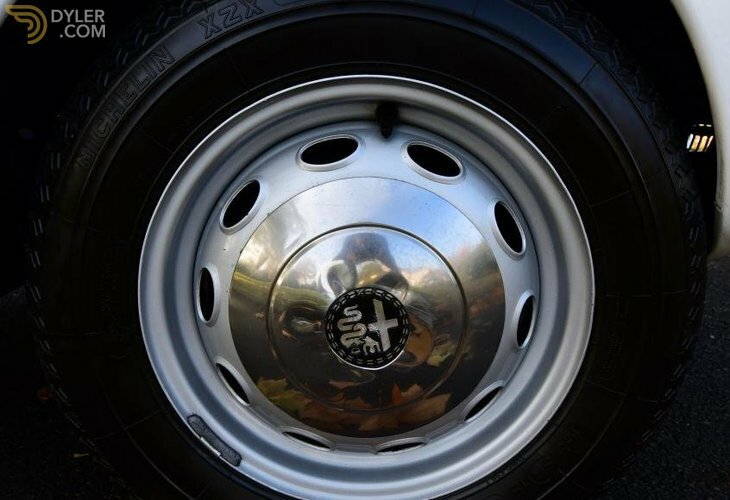 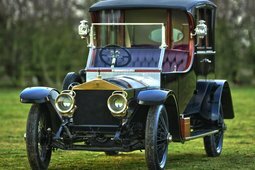 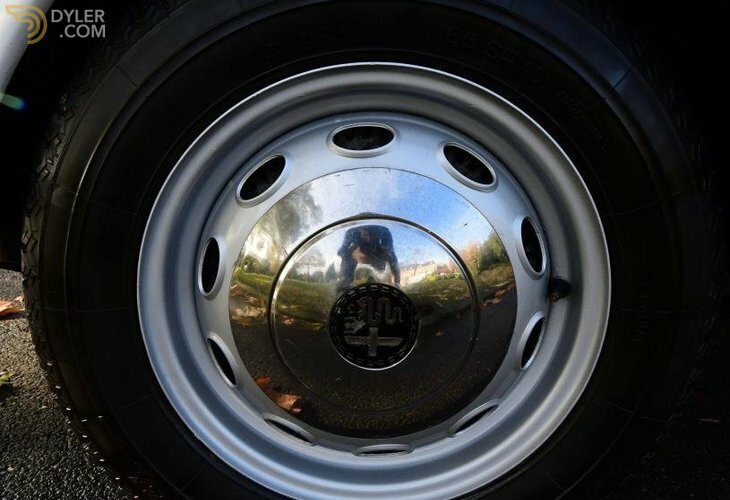 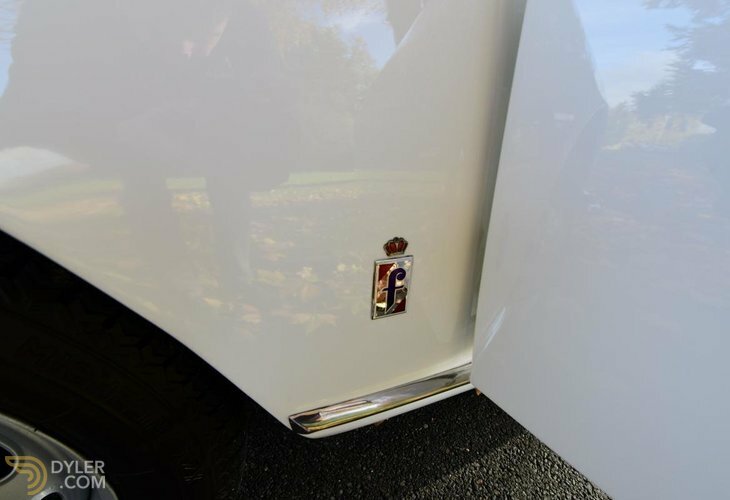 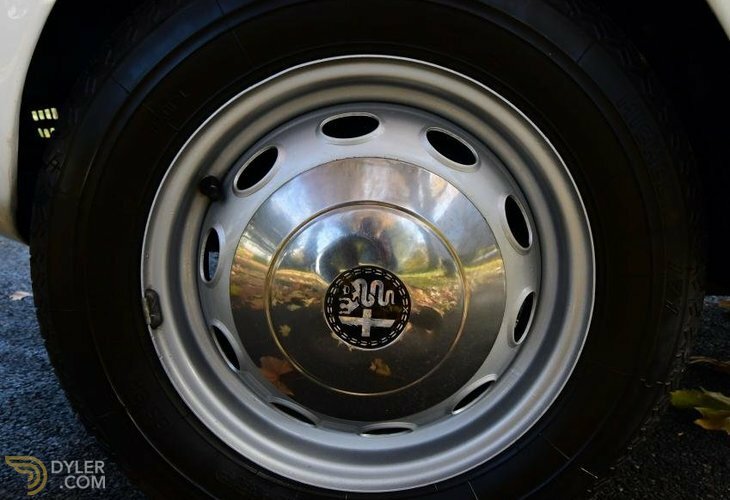 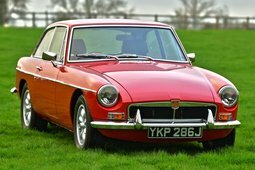 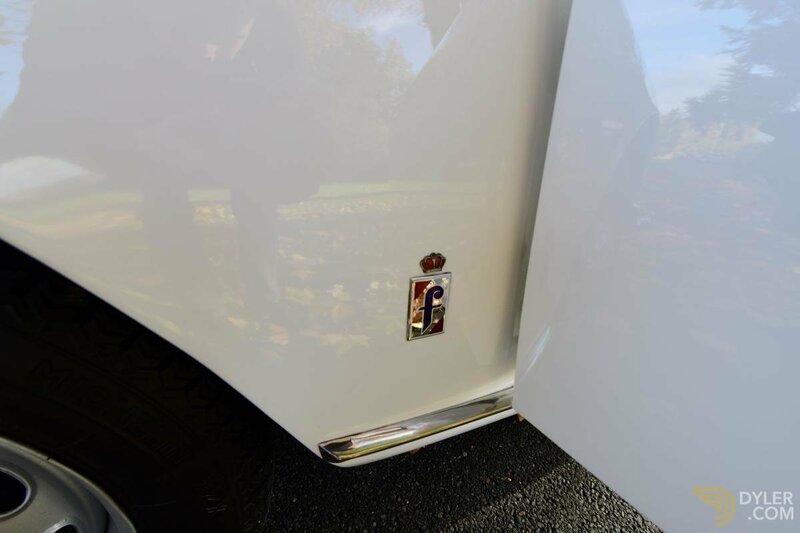 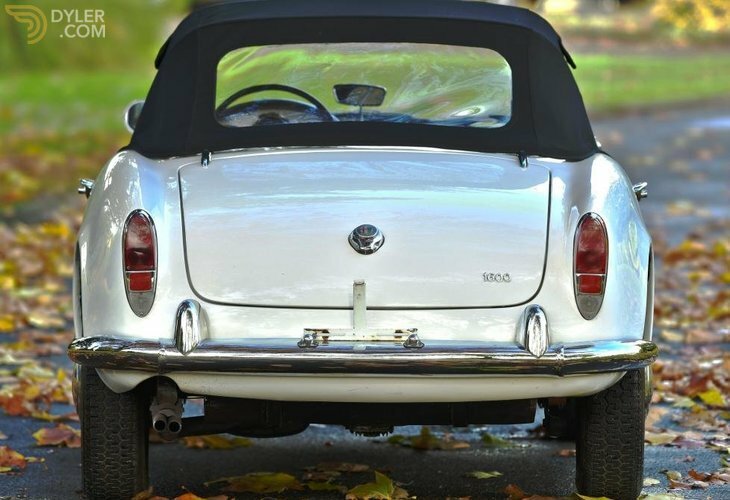 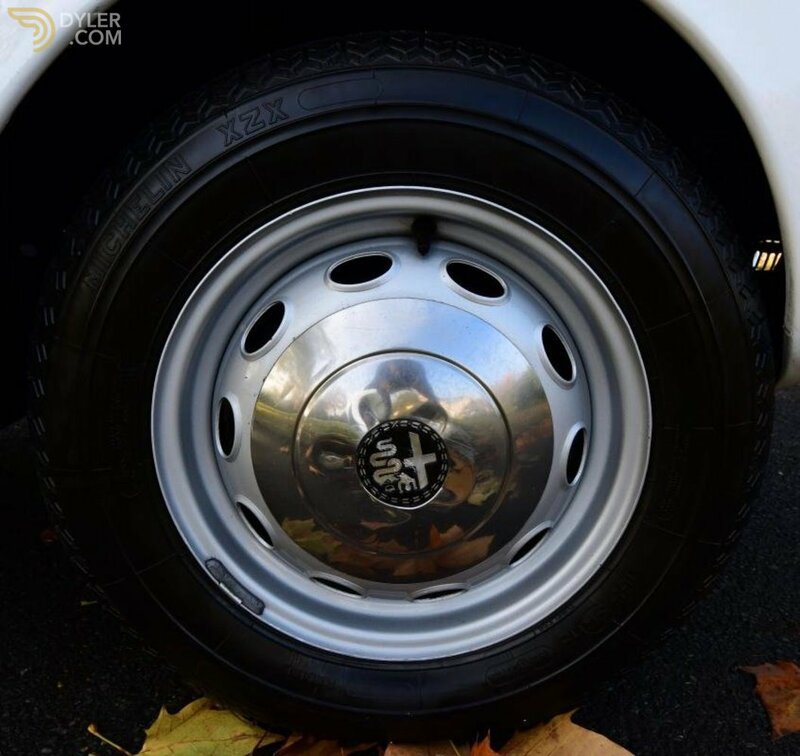 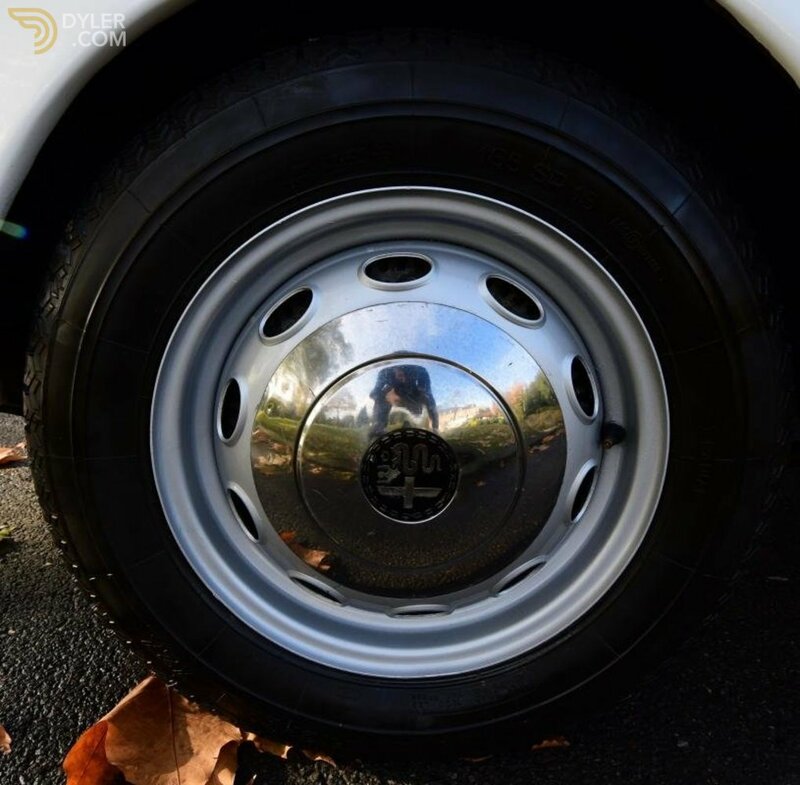 The highly polished chrome compliments the exterior and runs around the complte body, from the bumpers, to the sill moulding and the beautiful bonnet grille, all is great condition.